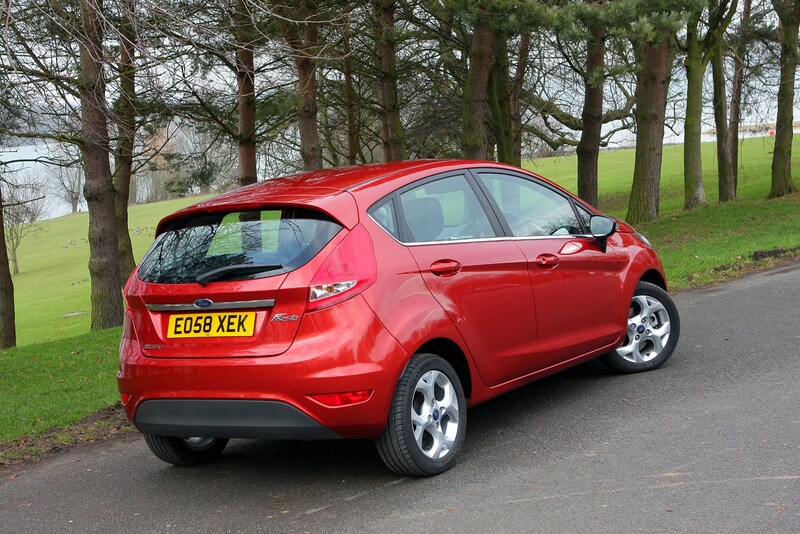 This car has been superseded by a newer model, click here to go to the latest Ford Fiesta Hatchback review. 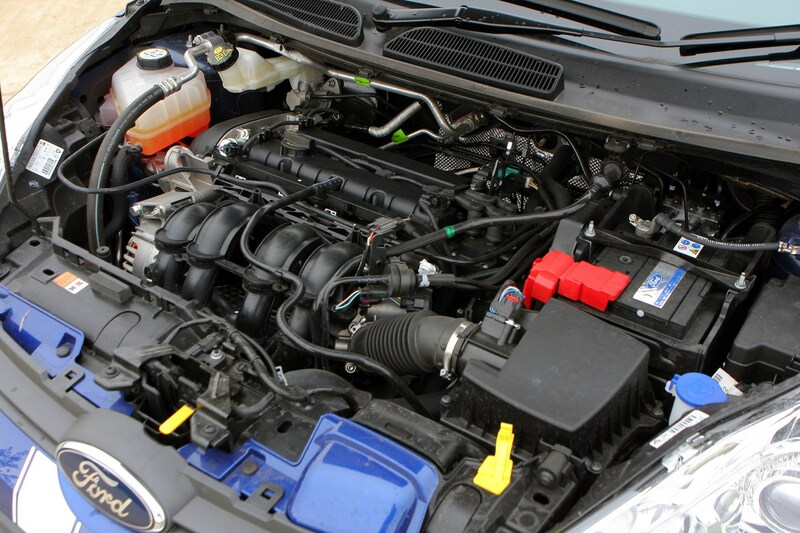 Insurance group: 3 - 31 How much is it to insure? 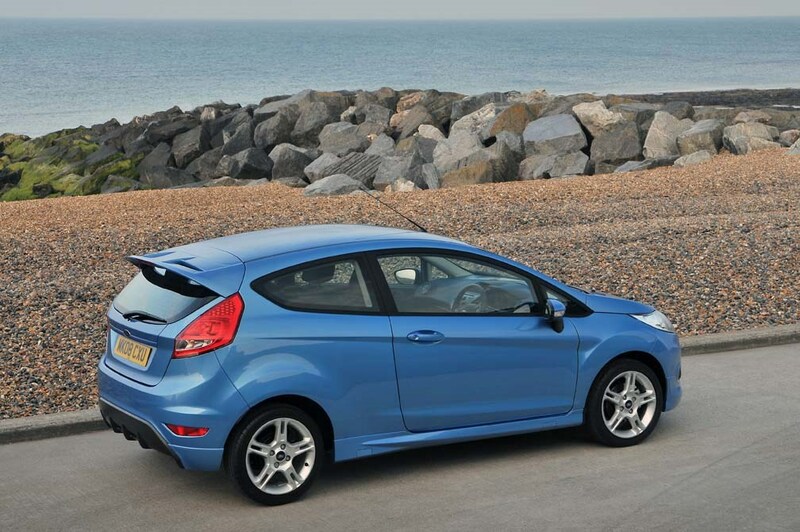 It’s testament to the remarkable talents of the Ford Fiesta that despite this generation being launched back in 2008, it’s still the small hatchback to beat, whether you choose an economical diesel, a sprightly petrol or a sporty ST derivative. 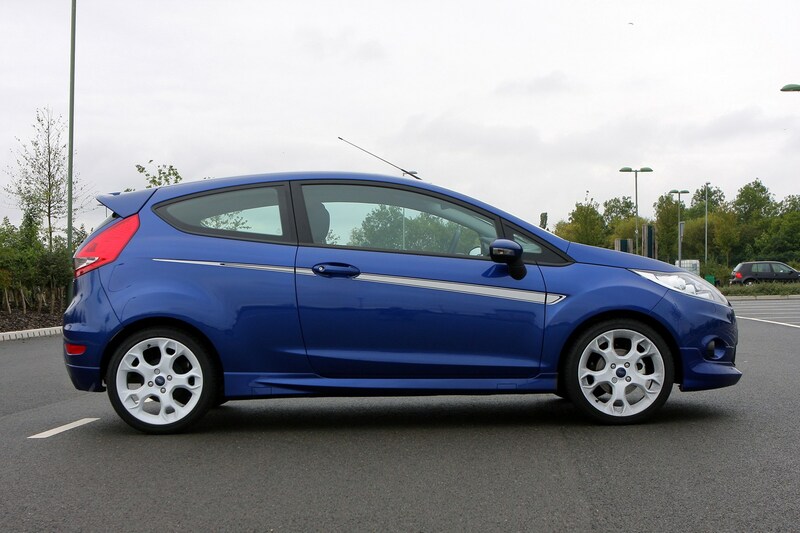 Battling it out against an array of talented contenders such as the Hyundai i20, Kia Rio, Mazda 2, Peugeot 208, Renault Clio, SEAT Ibiza, Skoda Fabia, Suzuki Swift, Vauxhall Corsa and Volkswagen Polo, among many others, there’s a Fiesta to suit virtually every need and budget. 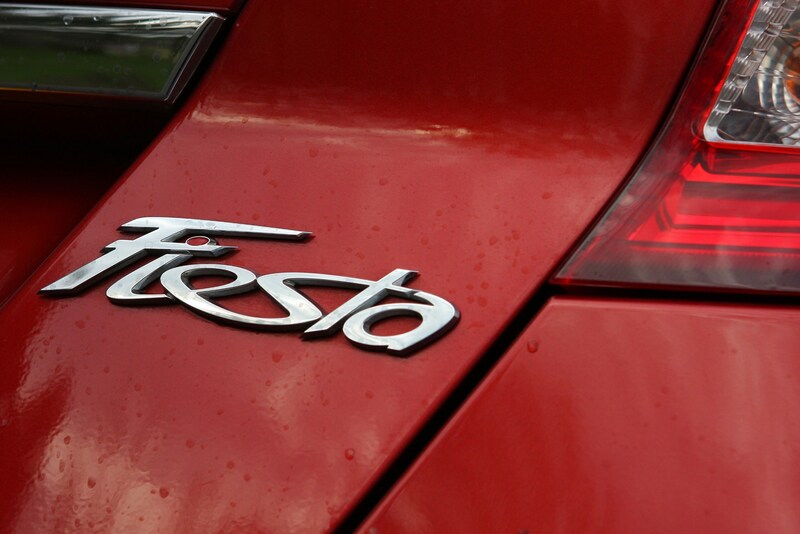 After four years on the market, Ford gave the Fiesta a makeover. 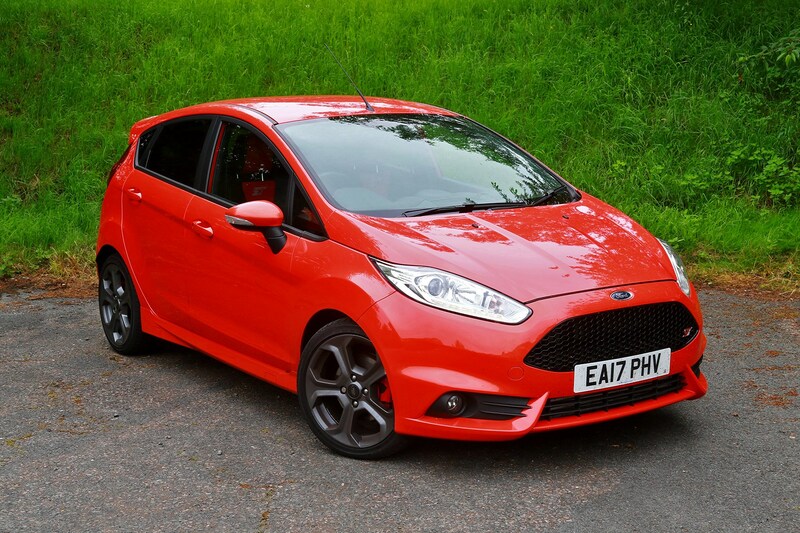 Despite being few in number, the changes made a significant visual impact, especially at the front, with a corporate hexagonal grille – with a whiff of Aston Martin about it – and tweaked lights front and rear; various models featured LEDs for the first time. 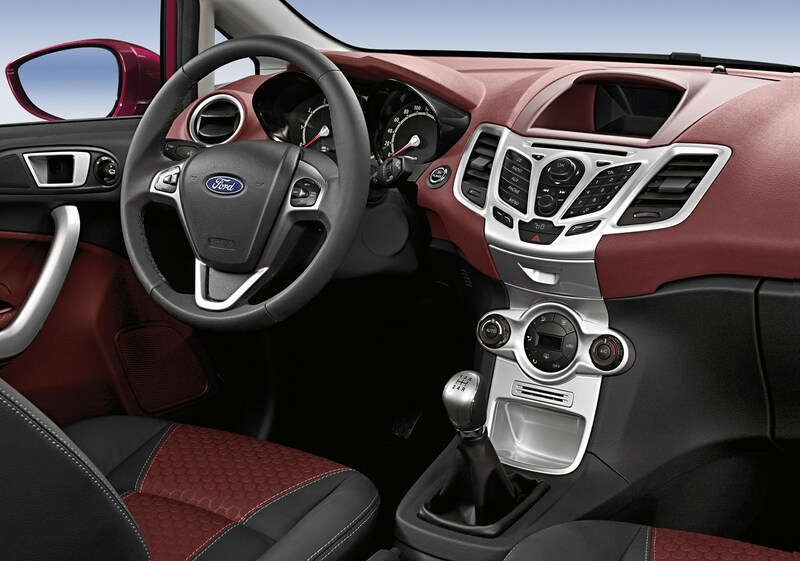 Inside, the SYNC voice-activated multimedia system made an appearance, along with Active City Stop – Ford’s autonomous emergency braking system designed to prevent low-speed accidents. 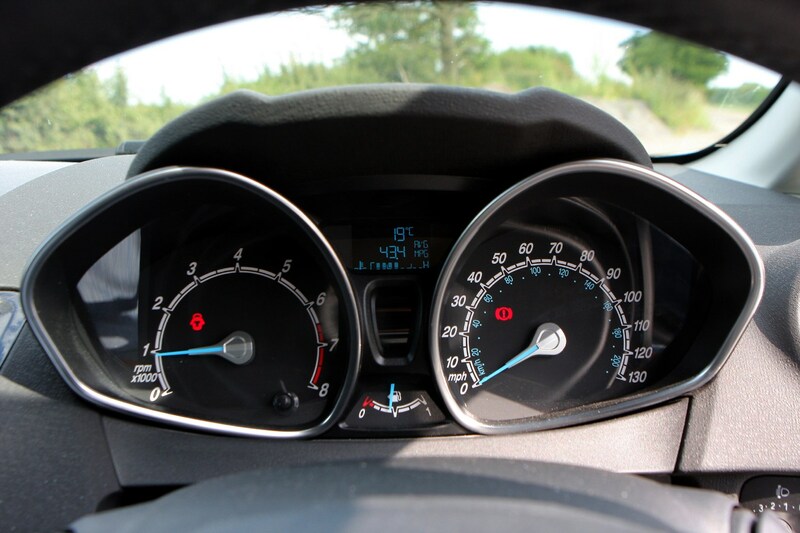 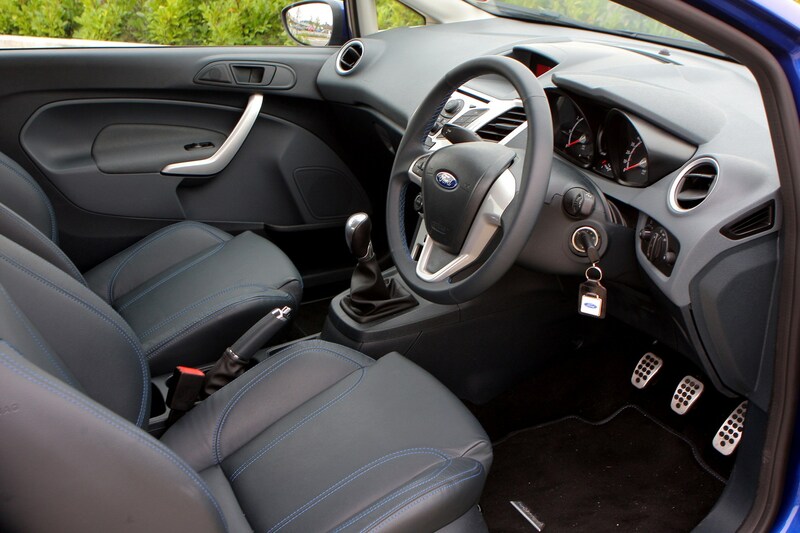 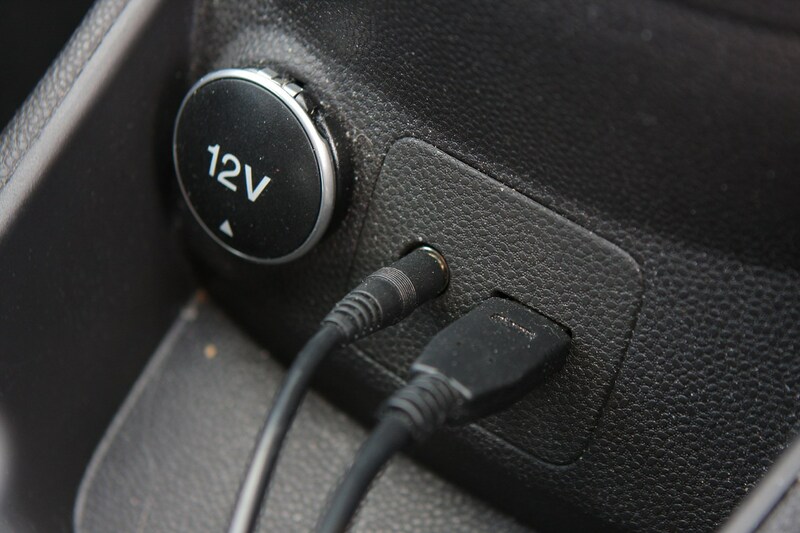 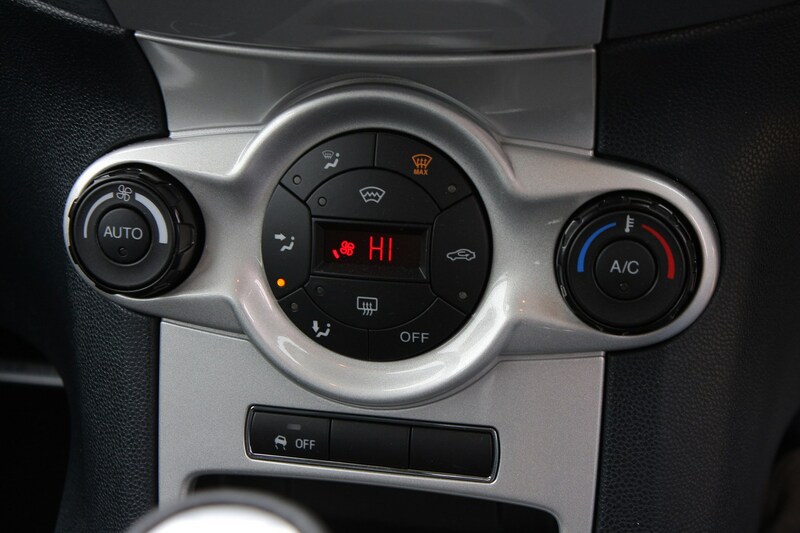 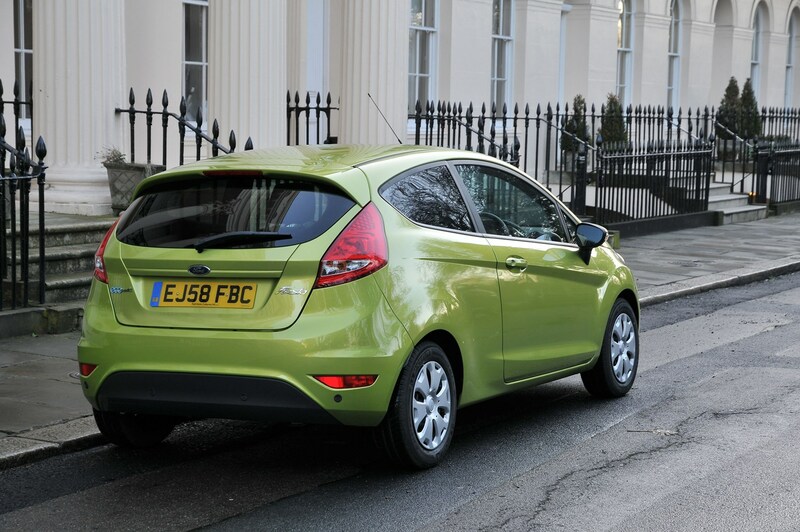 The Fiesta also became the first Ford car in Europe to feature MyKey, a system that allows parents of teenage drivers to limit both the car’s speed and the volume of its audio system. 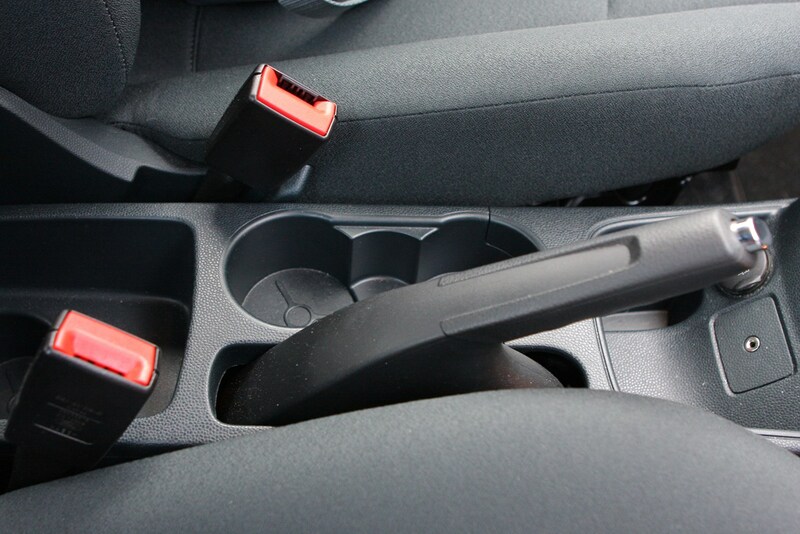 It’ll even mute the stereo if a driver’s seatbelt isn’t worn. 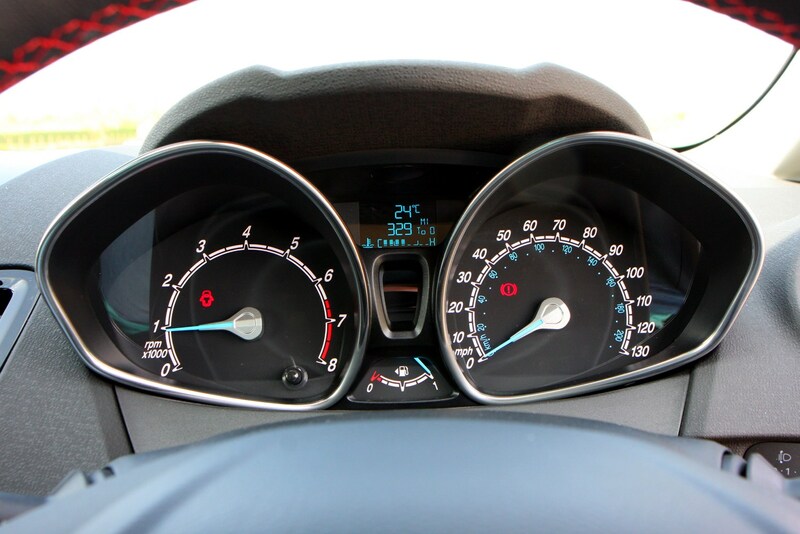 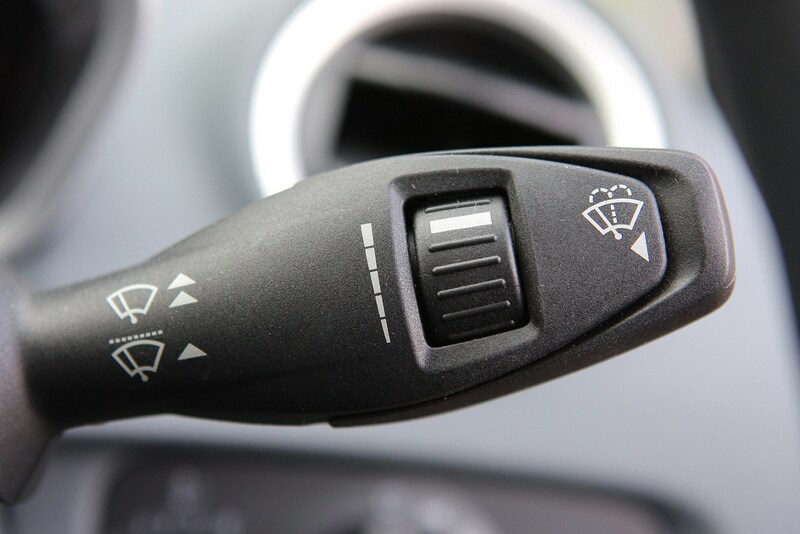 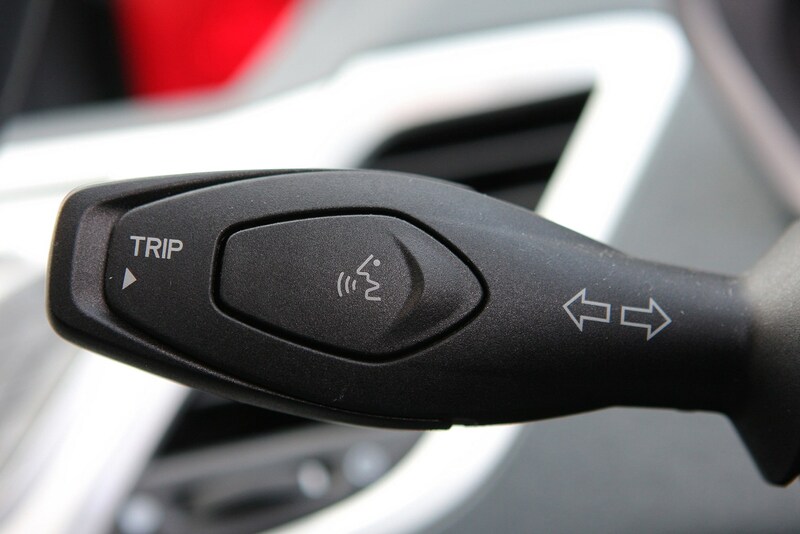 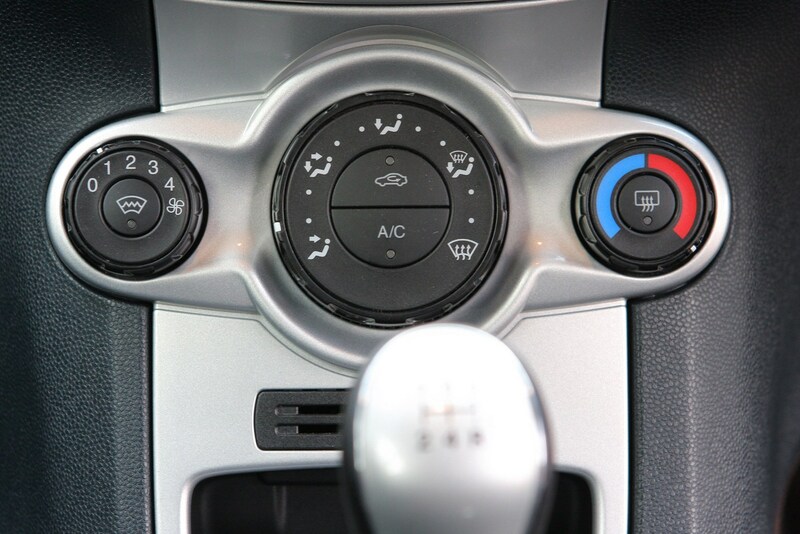 Each driver has a key which is programmed to tell the car to initiate or switch off various safety systems as required. 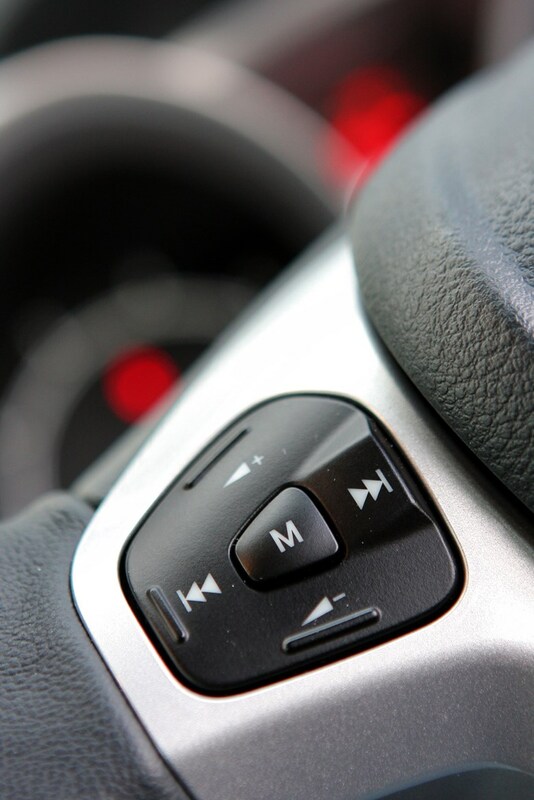 This has the potential to not only keep younger drivers safe but to also prevent them from causing unnecessary noise pollution. 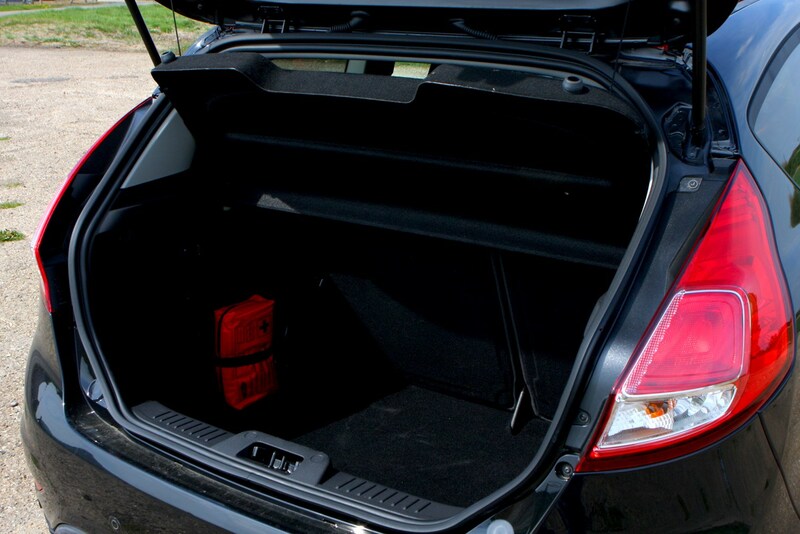 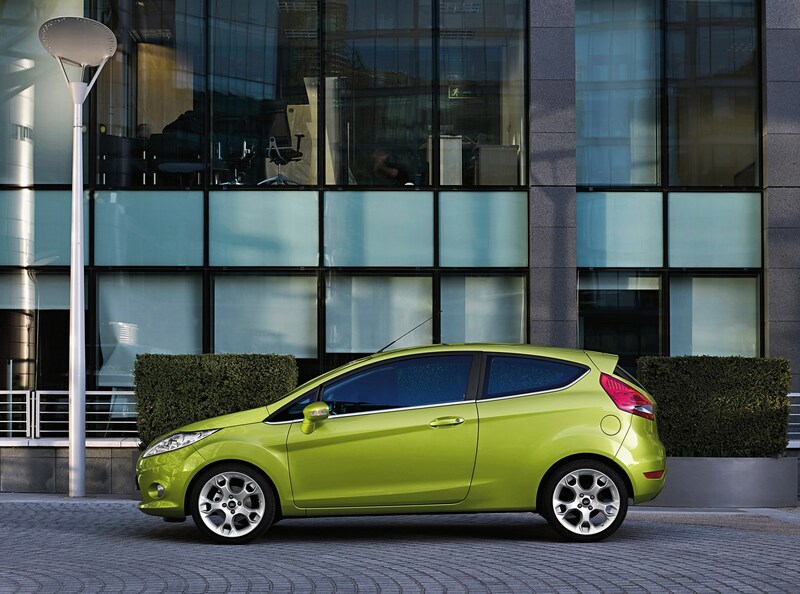 Most Fiestas are available with three- or five-door bodies, each offering the same amount of passenger and boot volume. 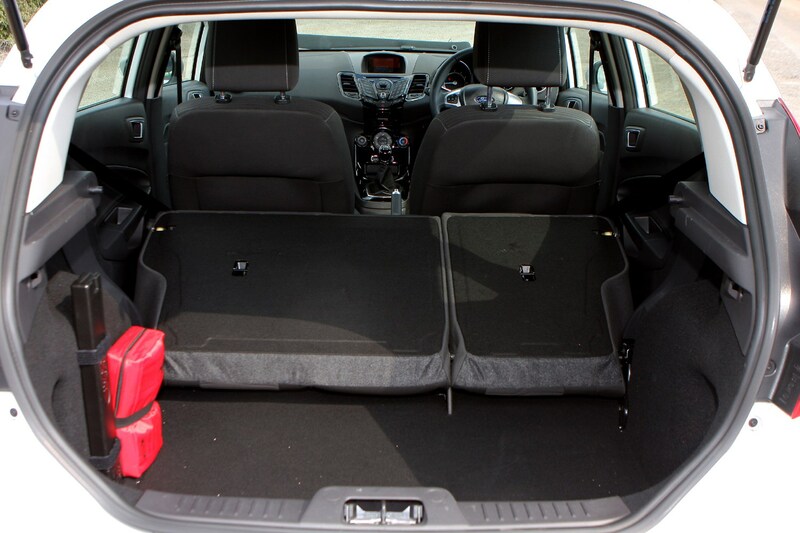 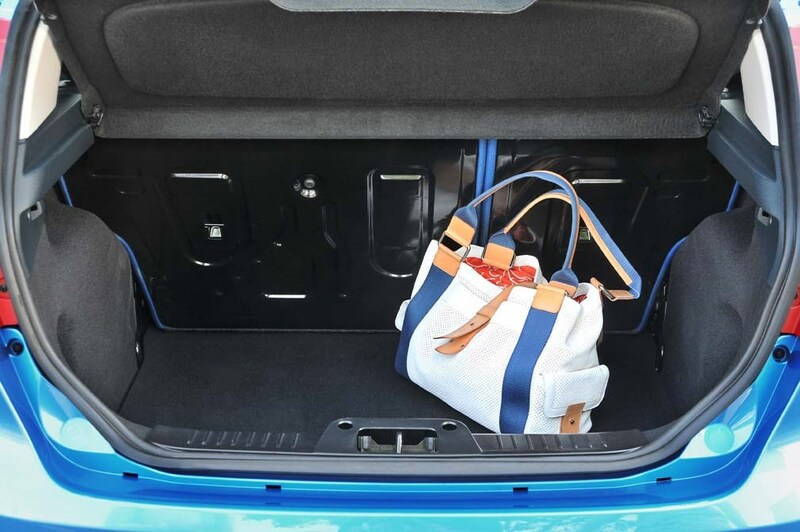 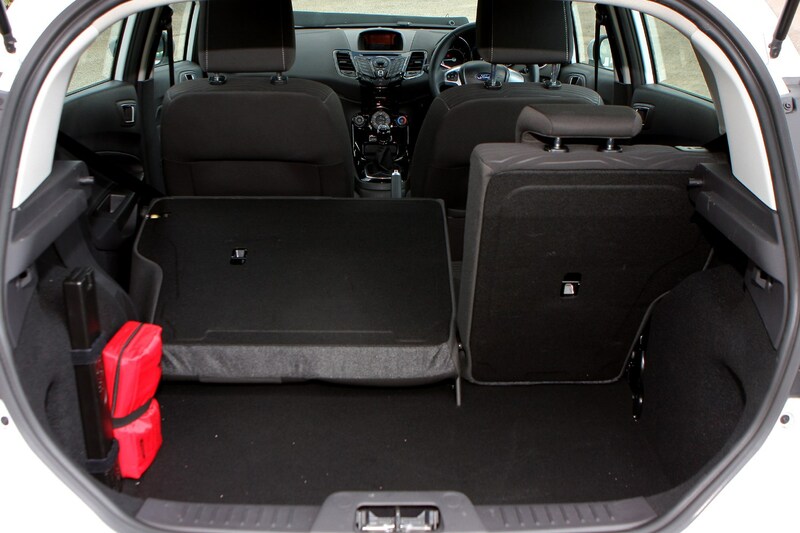 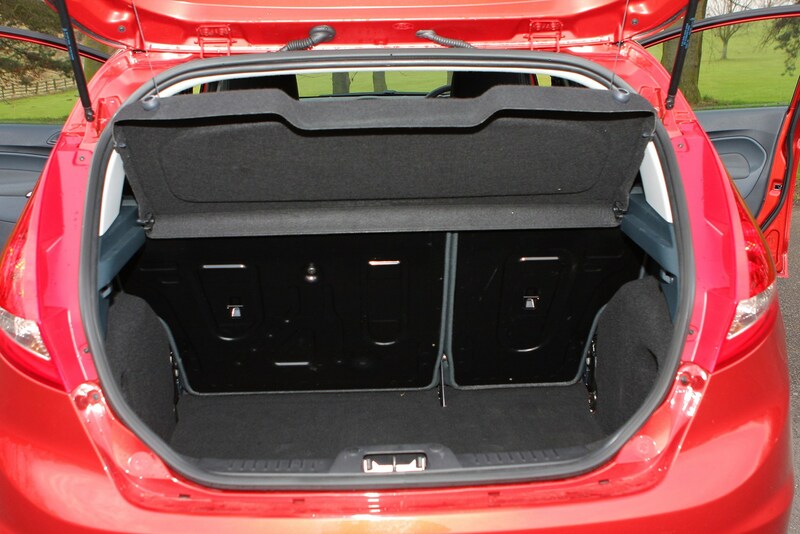 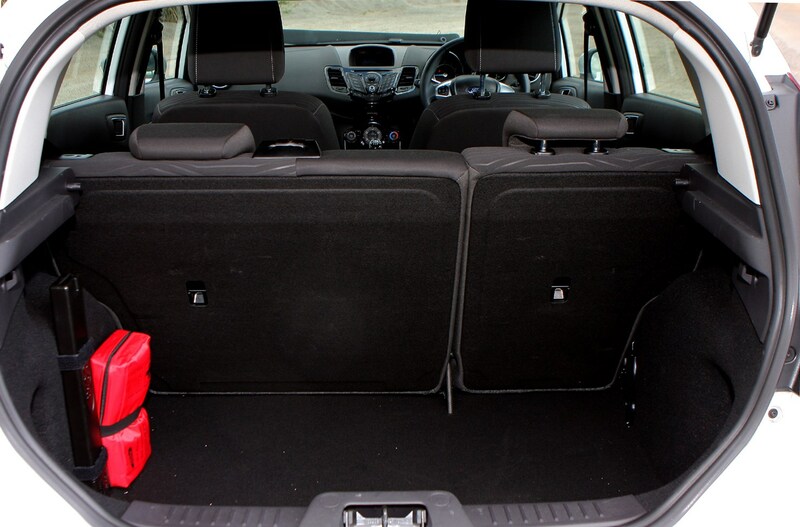 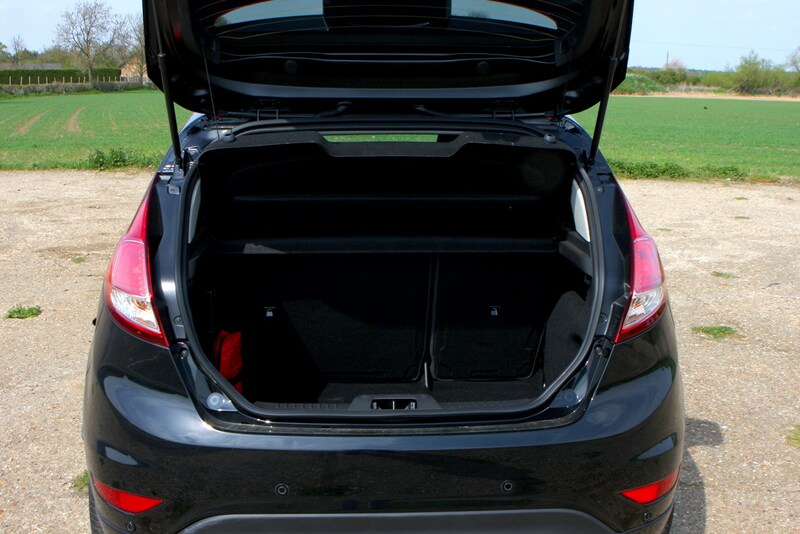 Compared with newer rivals, the Fiesta’s a little tight space-wise, particularly in the back, and the boot opening isn’t as wide or as low as many competitors, either. 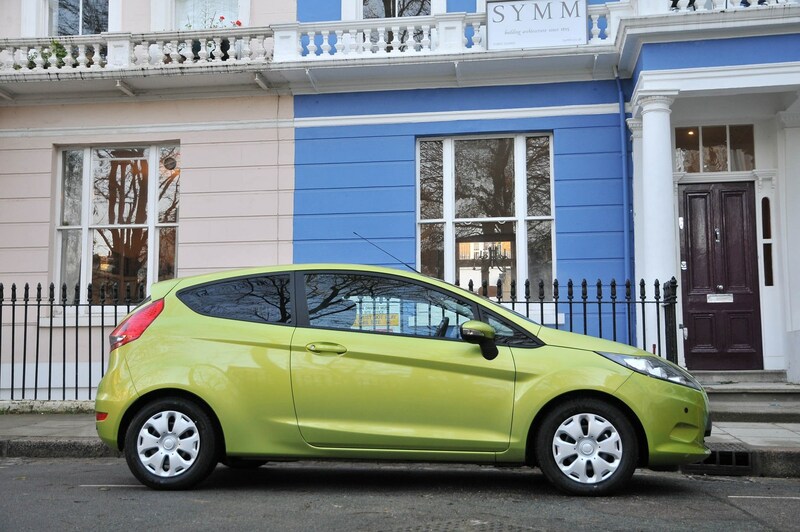 Since 2008 there have been over 25 different Fiesta derivatives, including a plethora of limited editions, but the current range has been (slightly) consolidated to make it easier to choose the one best suited to you. 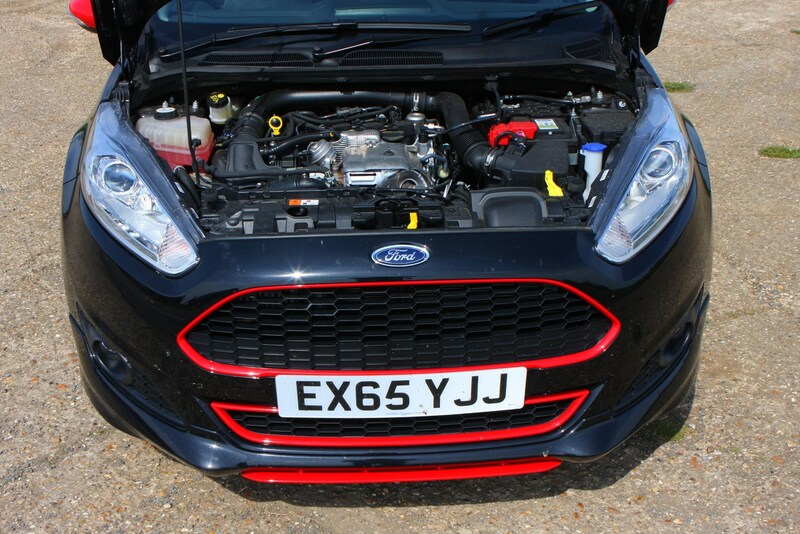 Presently the line-up comprises of Zetec, Zetec Colour Editions, Titanium, Titanium X, ST-Line, ST-Line Black and Red Editions, ST-1, ST-2, ST-3 and the ST200, the number reflecting its power output. 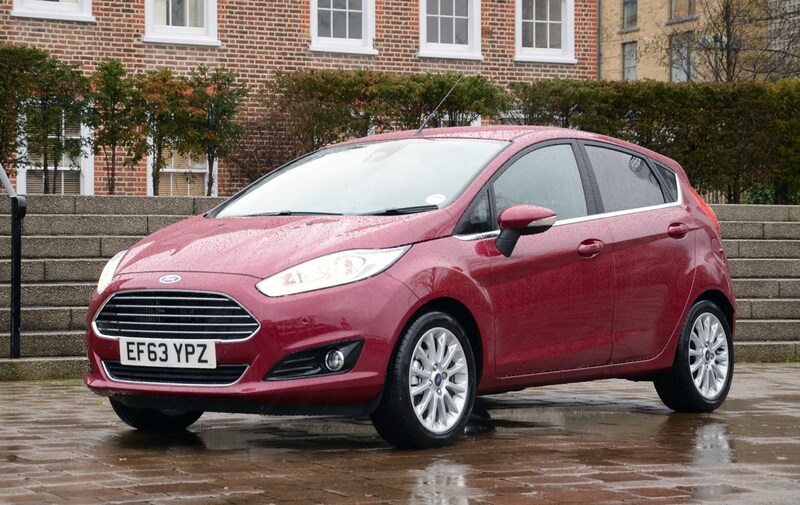 Studio and Style trims were dropped in summer 2016 following the arrival of the smaller Ford Ka+. 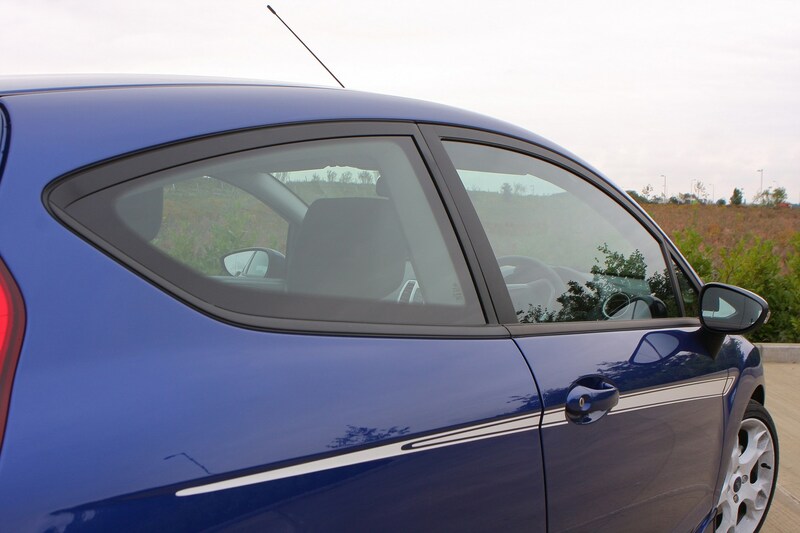 All current models come with electric front windows and mirrors, a CD player, tinted glass, remote central locking and air-con. 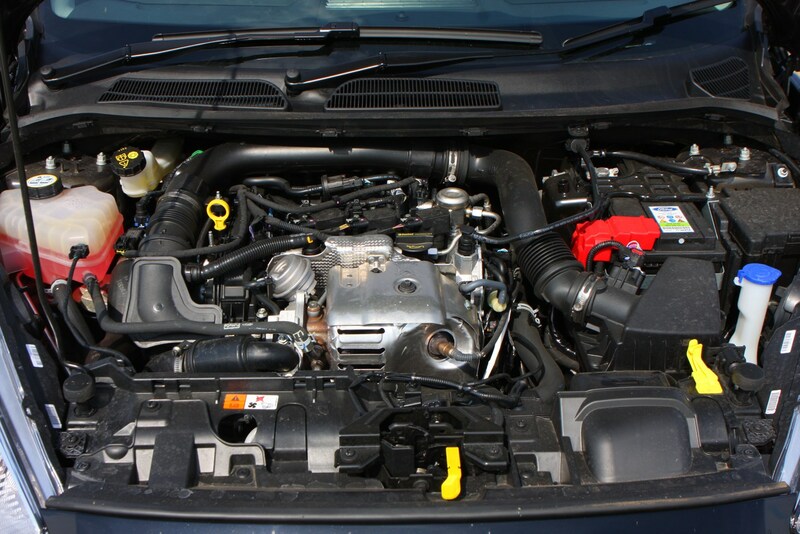 There’s a wide selection of petrol and diesel engines to pick from, many of which are turbocharged to boost efficiency as well as performance. 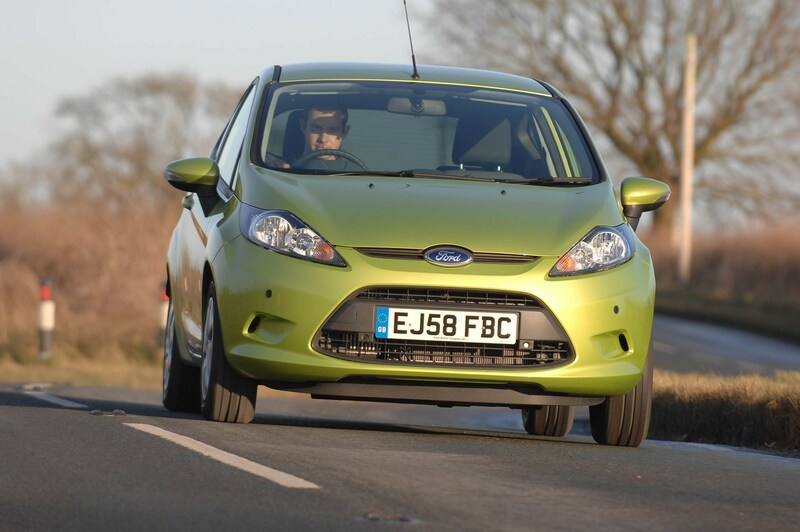 We’d recommend staying away from the sluggish 1.25-litre petrols – the 60hp version of which is the slowest in the range – and instead opt for one of the zesty three-cylinder 1.0-litre units, ideally in turbocharged EcoBoost form with between 100hp and 140hp. 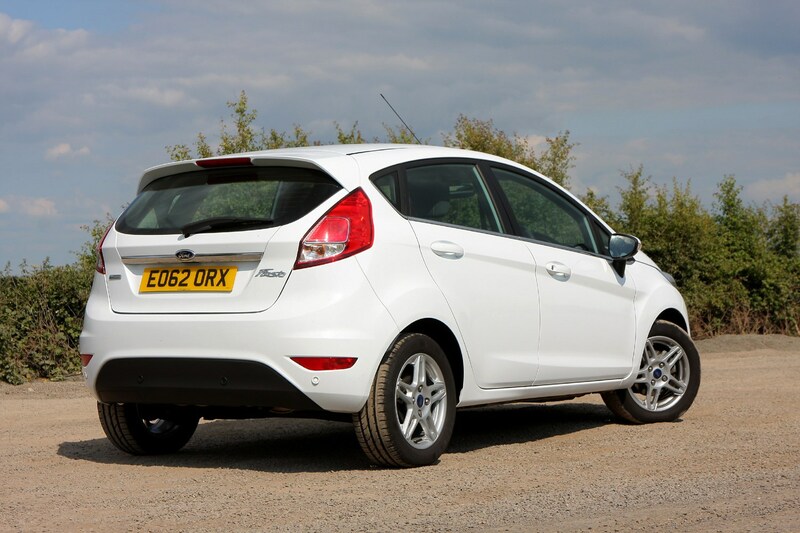 If you cover long distances regularly, then one of the diesel-engined Fiestas may suit your needs better. 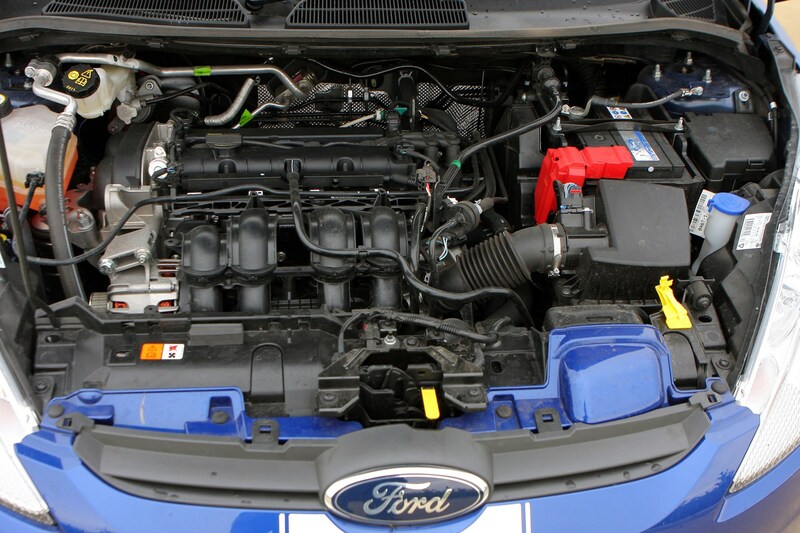 All are turbocharged 1.5-litre motors, producing either 75hp or 95hp depending on the version chosen. 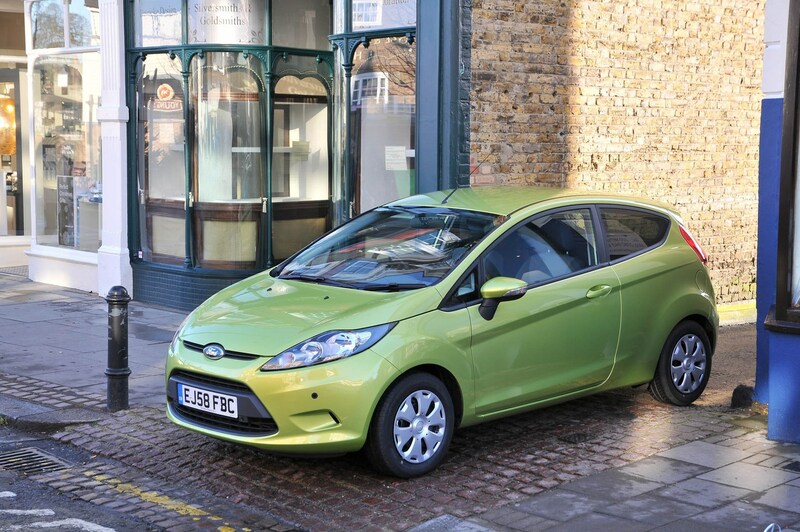 There’s also an efficiency-focused Econetic option, boasting claims of 88.3mpg and CO2 emissions of just 82g/km. 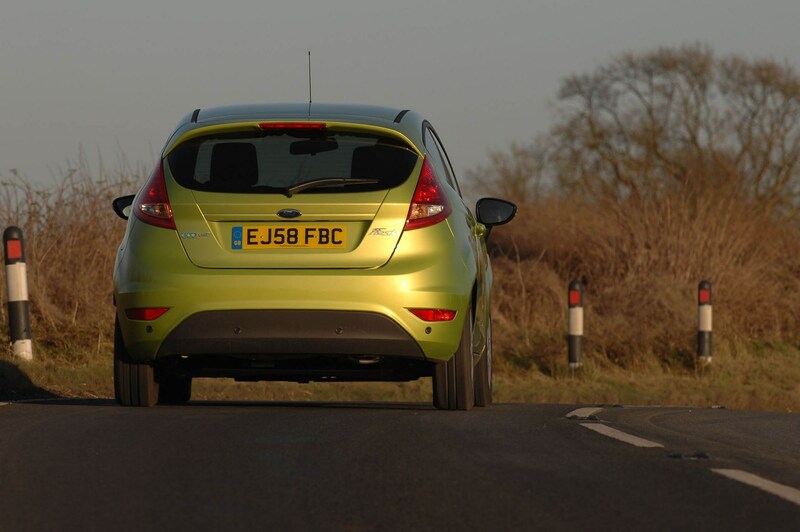 The primary thing you need to know about the Ford Fiesta ST is that each variant is an absolute joy to drive. 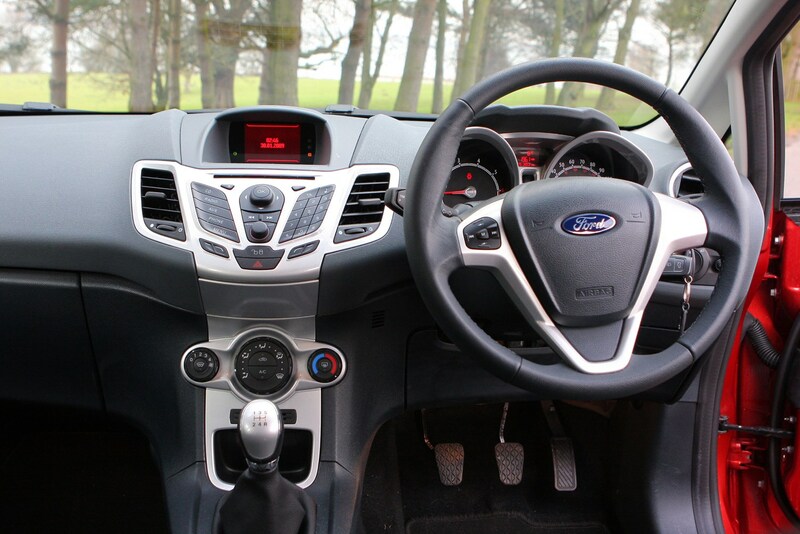 They’re fast, agile and best of all, a lot of fun to pilot. 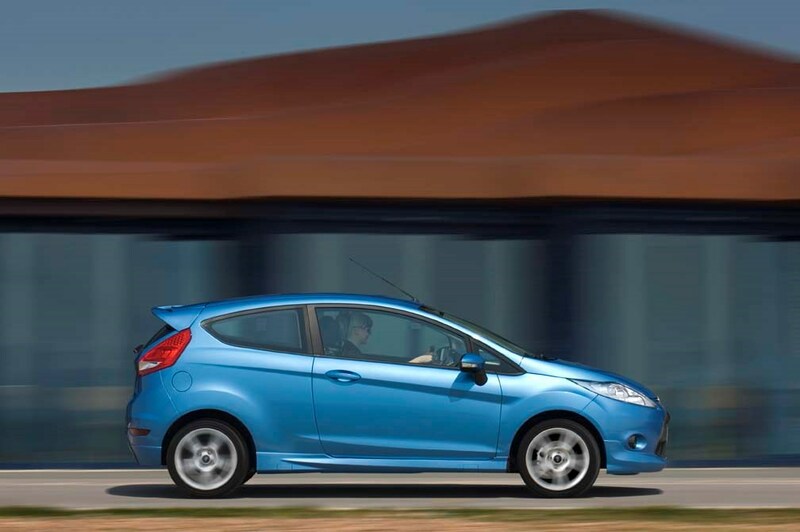 Introduced in 2013, ST-1, ST-2 and ST-3 derivatives are powered by a 182hp 1.6-litre turbo engine, propelling the Fiesta up to 139mph and completing the 0-62mph dash in 6.9 seconds, yet it still returns a claimed 47.9mpg. 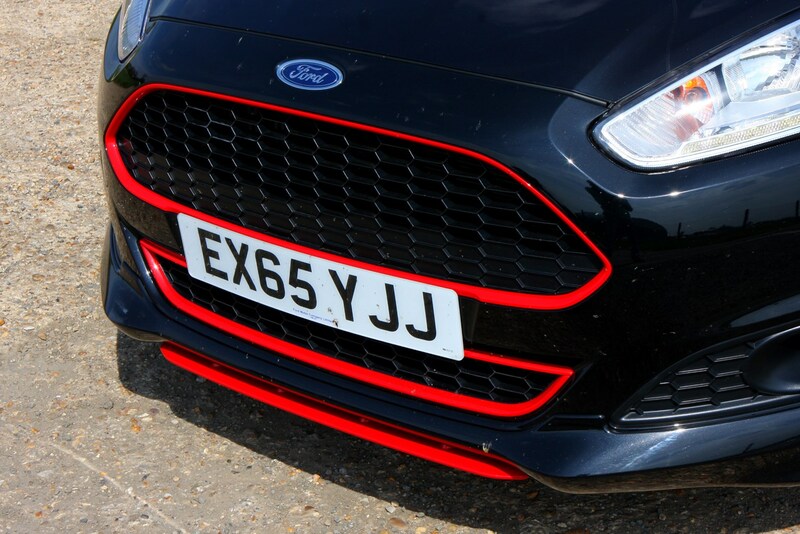 Fiesta STs are easy to spot compared with less-powerful models in the range thanks to a suitably aggressive bodykit, a rear wing and a deeper front grille finished with a black mesh insert. 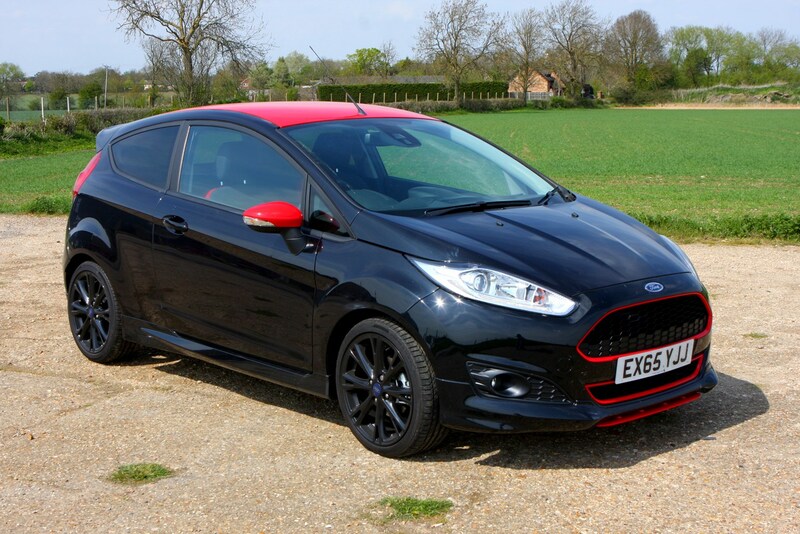 Ford raised the stakes further in 2016 with the introduction of the Fiesta ST200 – as the number suggests, this range-topper packed 200hp, enough to reach 142mph. 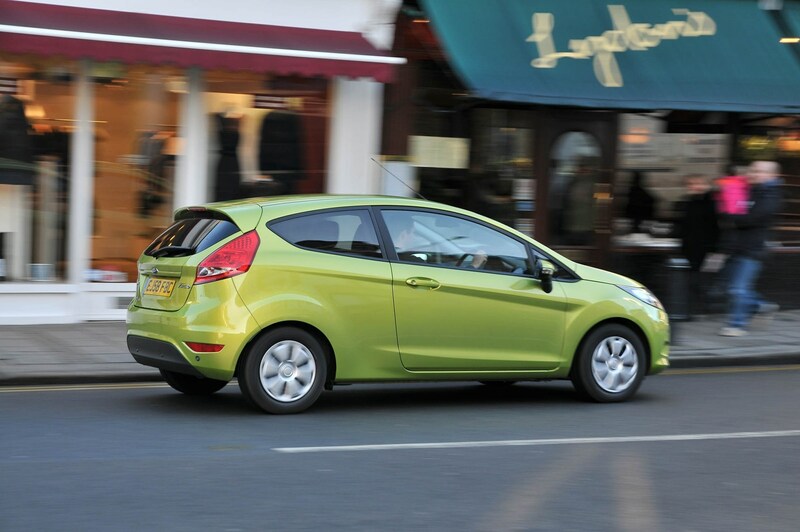 July 2008 – All-new Fiesta available to order, with first deliveries in October 2008. 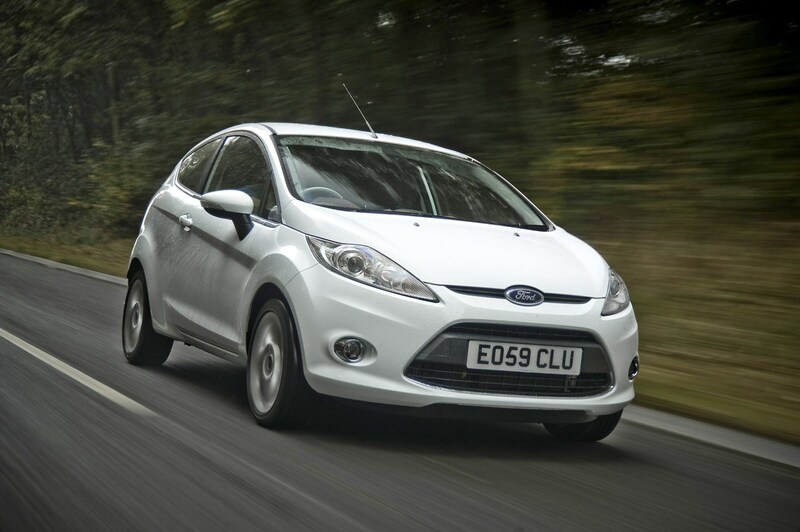 A broad hierarchy of trim levels is made up of Studio, Style, Style+, Econetic, Zetec, Zetec S and Titanium, with a wide selection of petrol and turbo diesel powerplants. 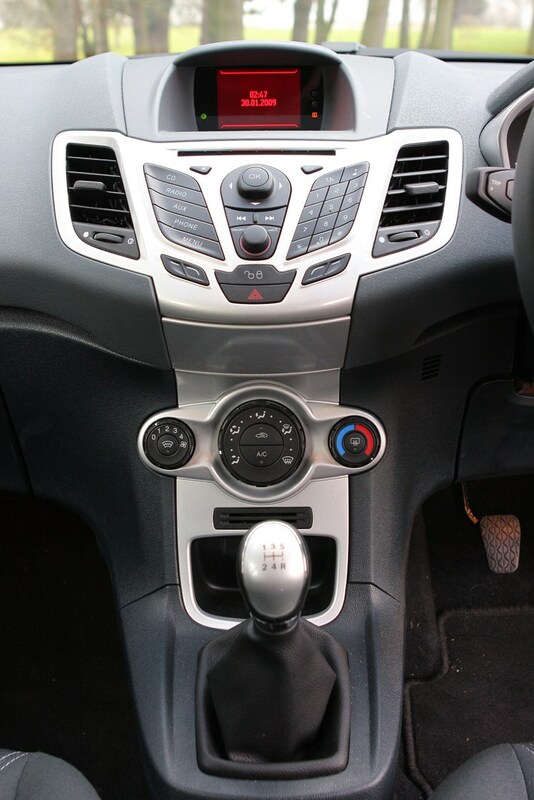 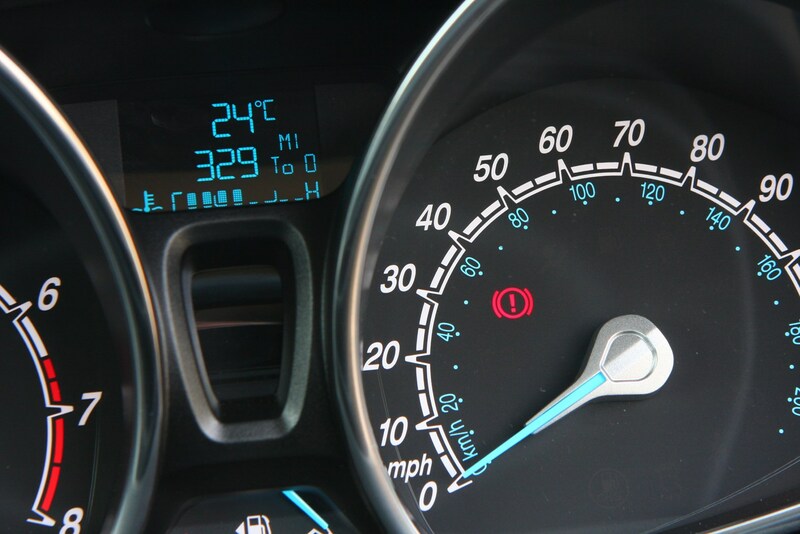 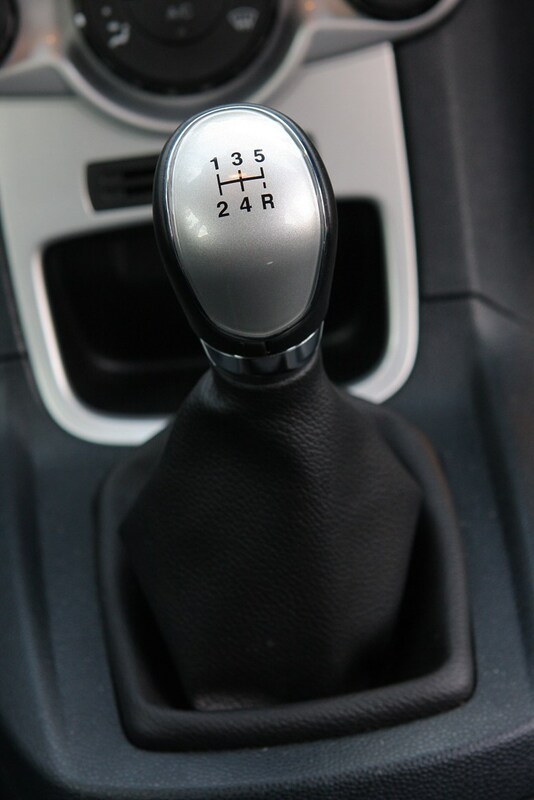 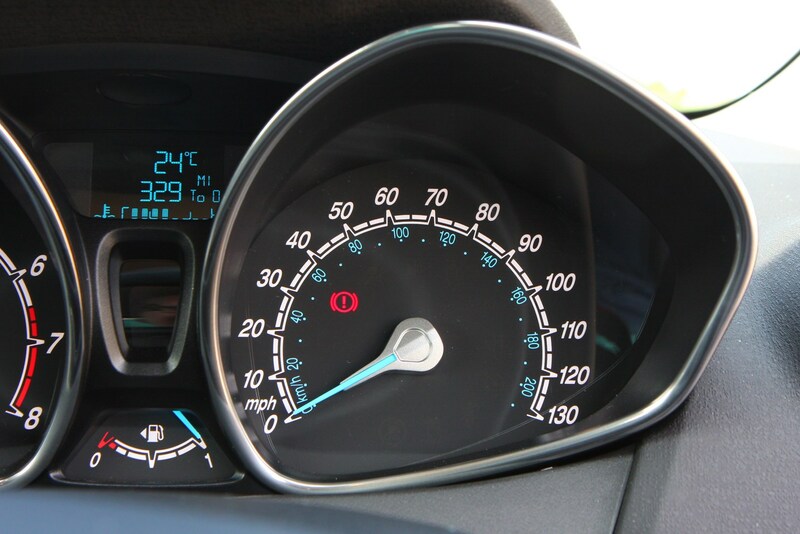 June 2009 – 1.4-litre 96hp petrol Fiestas in Style+, Zetec and Titanium trims are now optionally available with a Durashift automatic transmission. 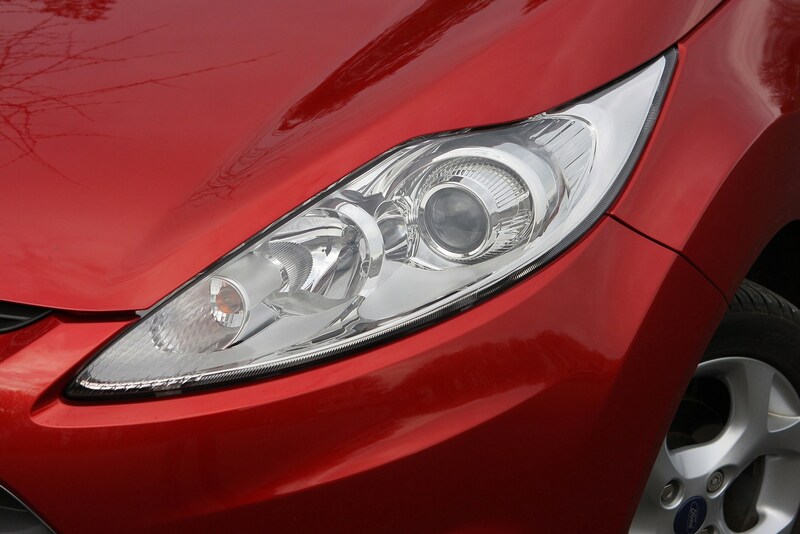 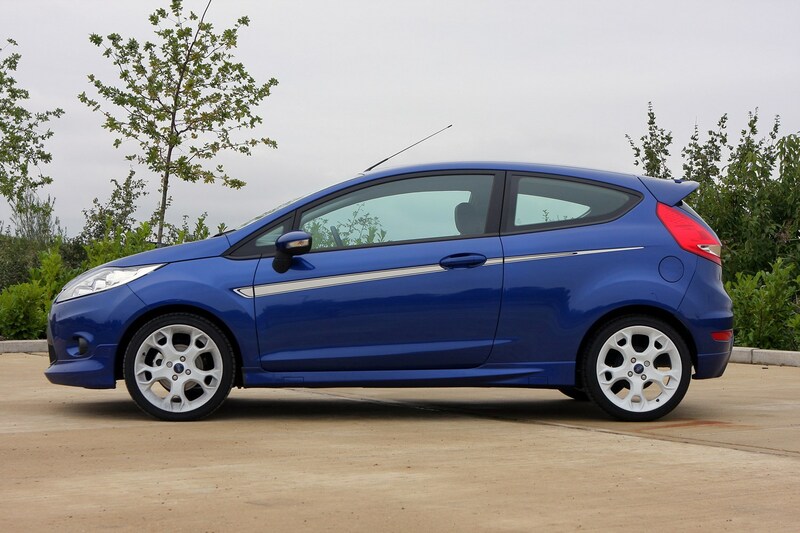 October 2009 – First limited edition version of this-generation Fiesta is the Titanium Individual, hallmarked by a special red interior, 16-inch alloy wheels, Bluetooth connectivity and leather upholstery. 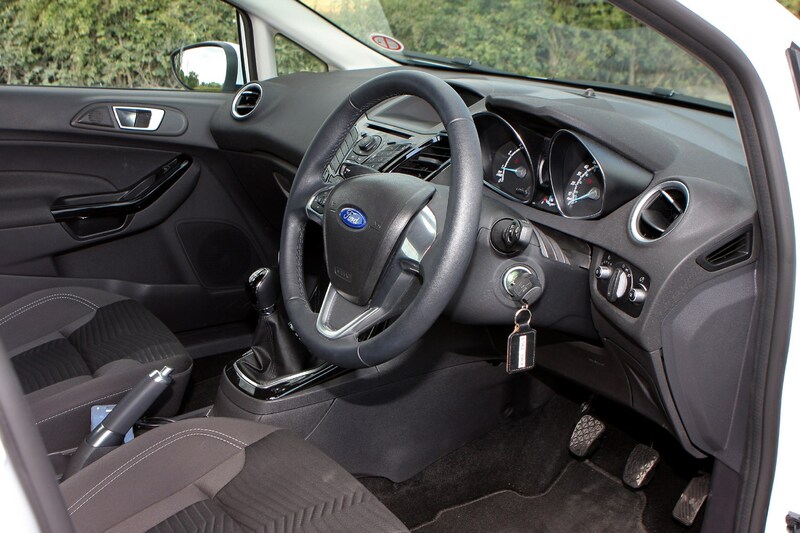 Upgrades across the remainder of the range include electric front windows and a five-door option for the Studio, air-con for the Edge and Econetic, and alloy pedals and an electrically-heated windscreen for the Zetec S. Style and Style+ trims discontinued. 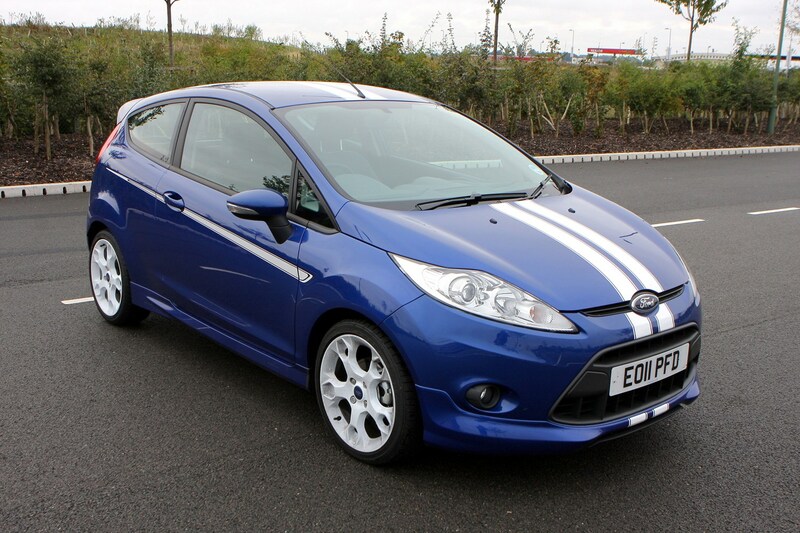 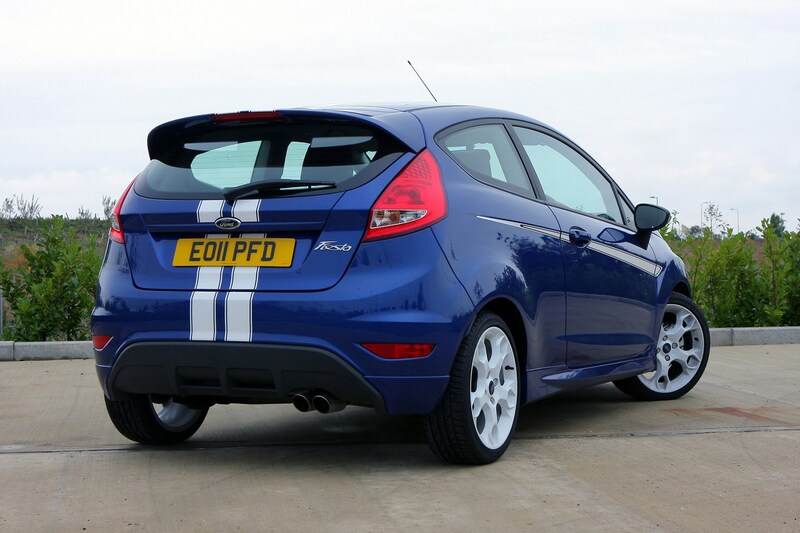 April 2010 – Based on the existing Zetec S is the sporty Fiesta S1600 limited edition. 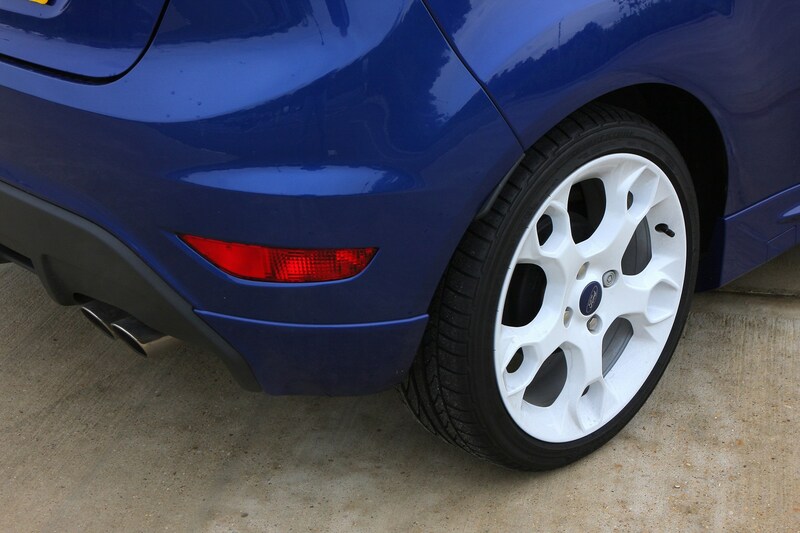 Powered by the same 120hp 1.6-litre Ti-VCT engine, the S1600 is finished in Frozen White or Performance Blue, with opposing colour body stripes, and a purposeful bodykit complemented by white 17-inch alloy wheels. 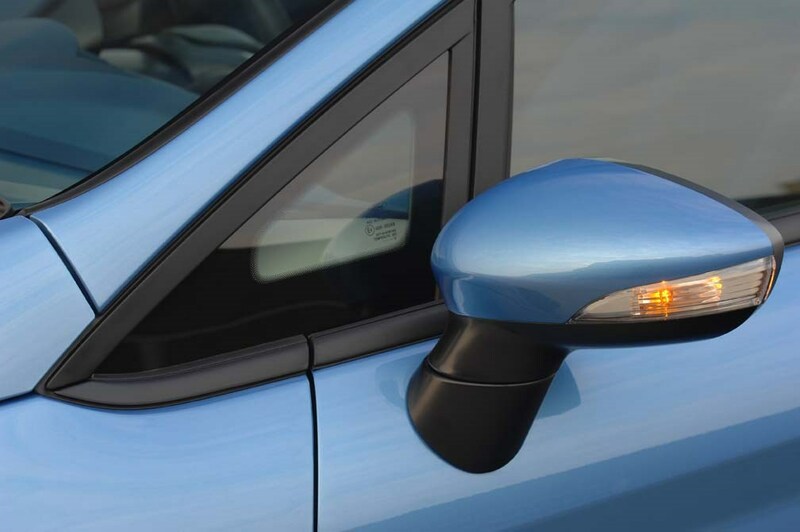 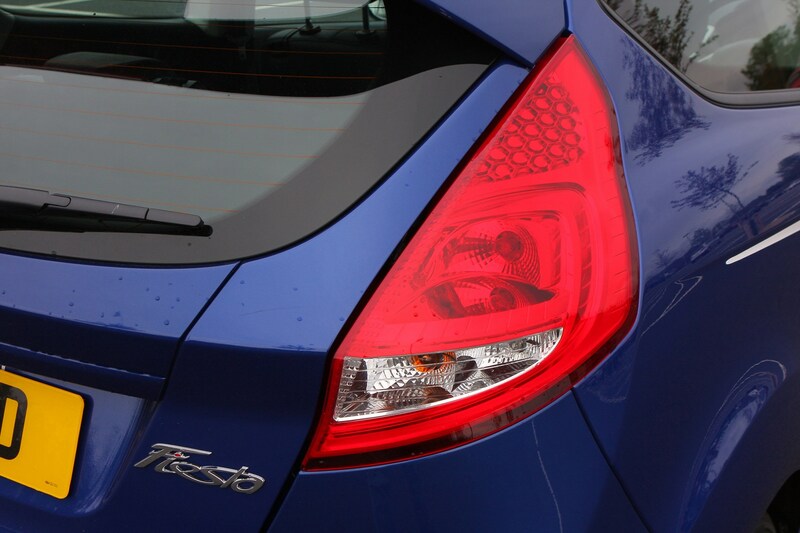 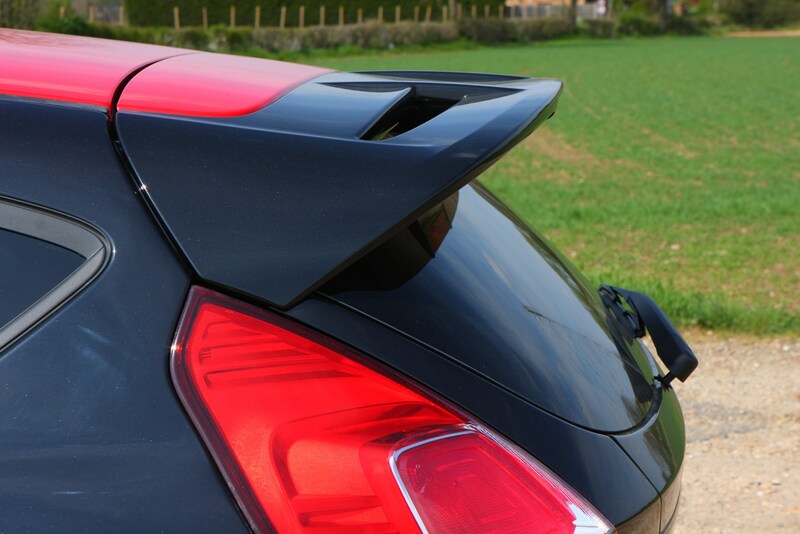 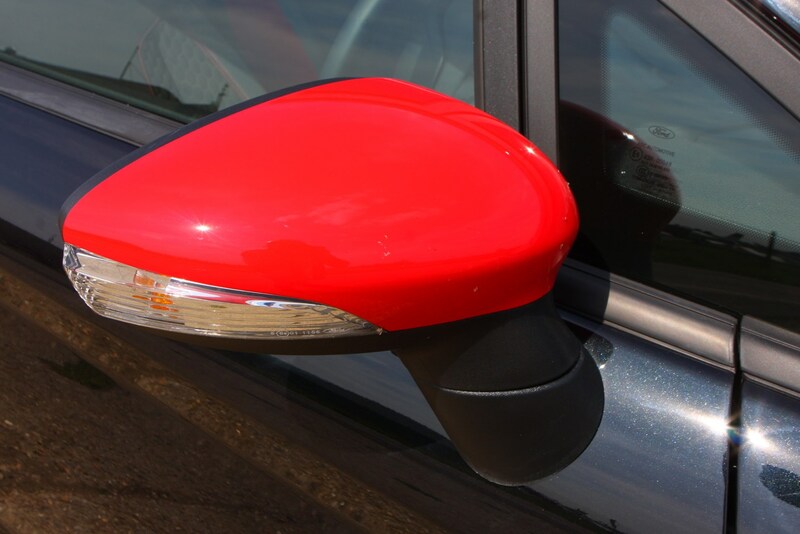 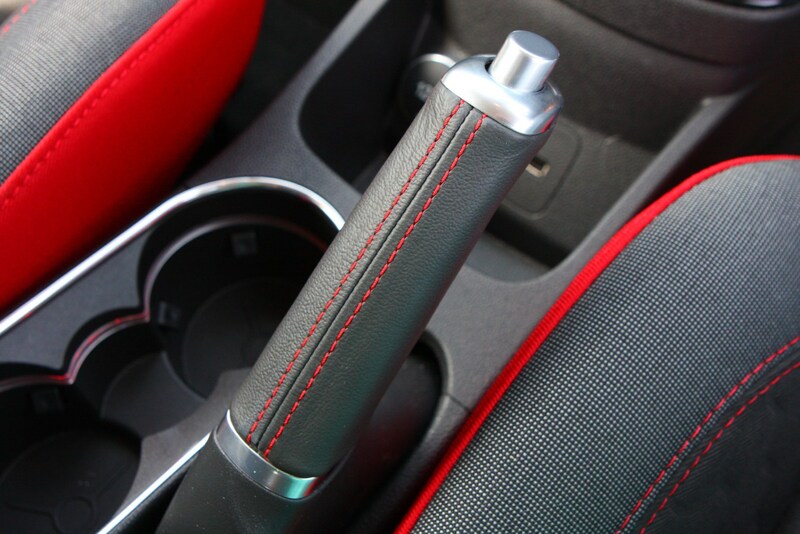 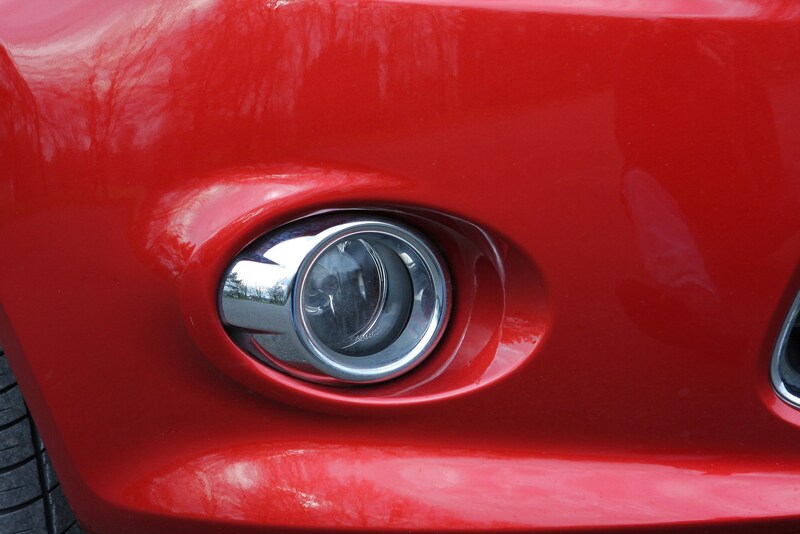 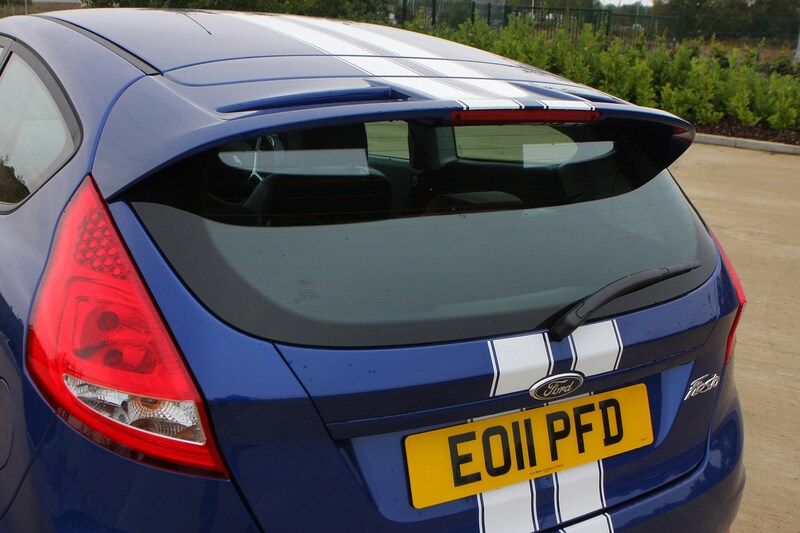 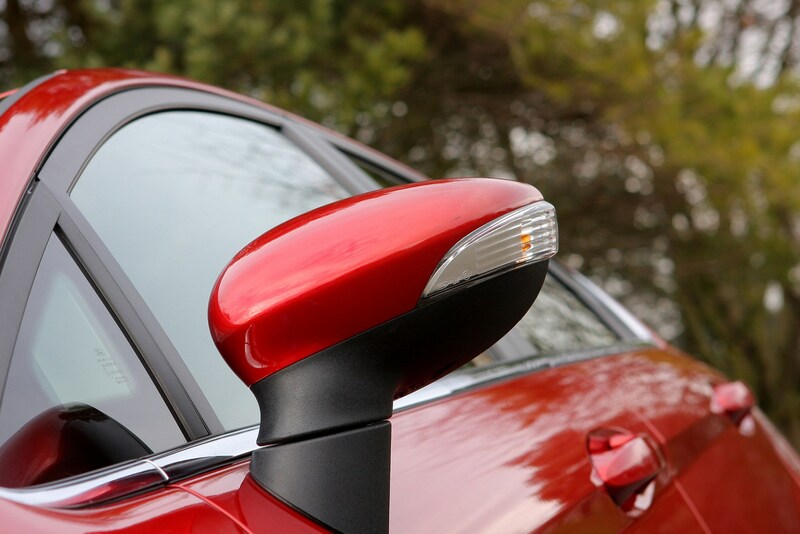 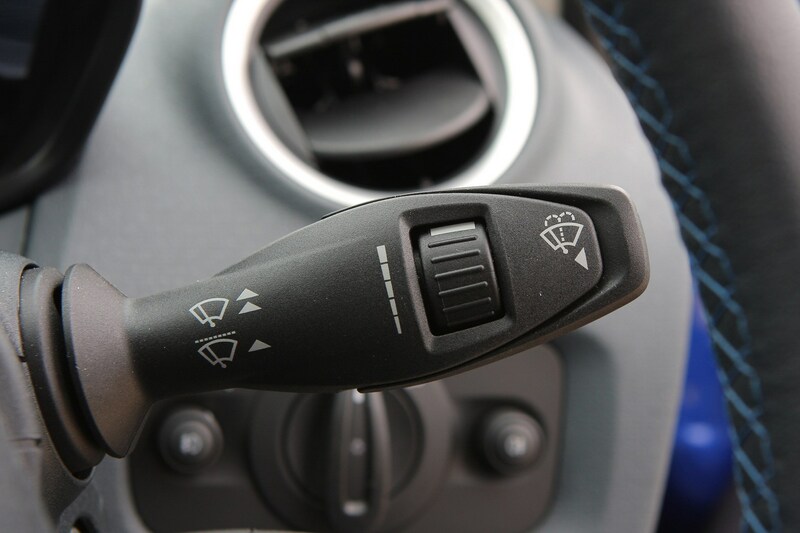 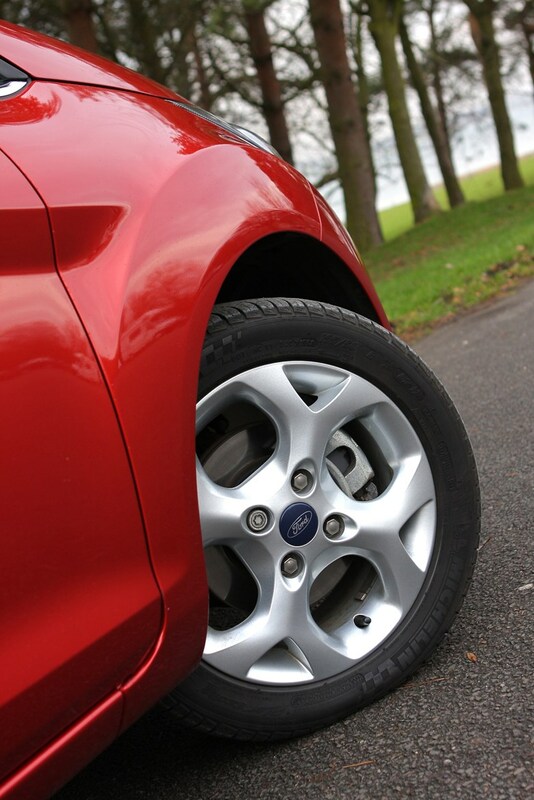 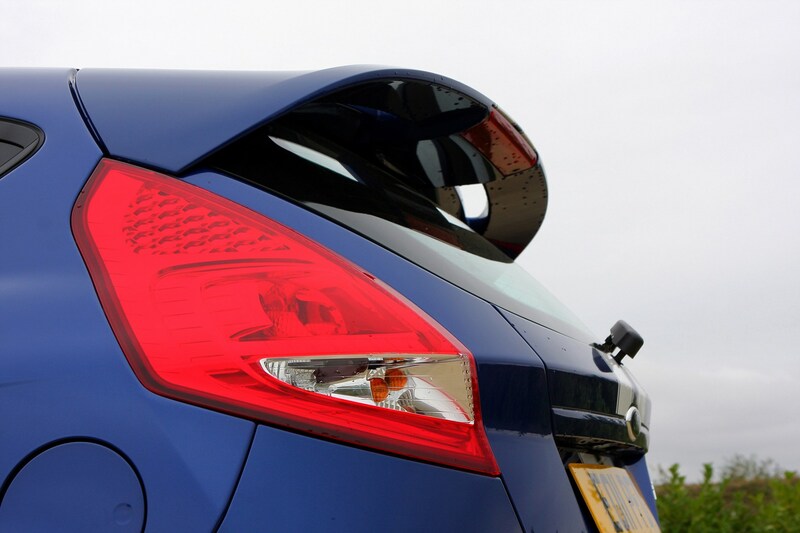 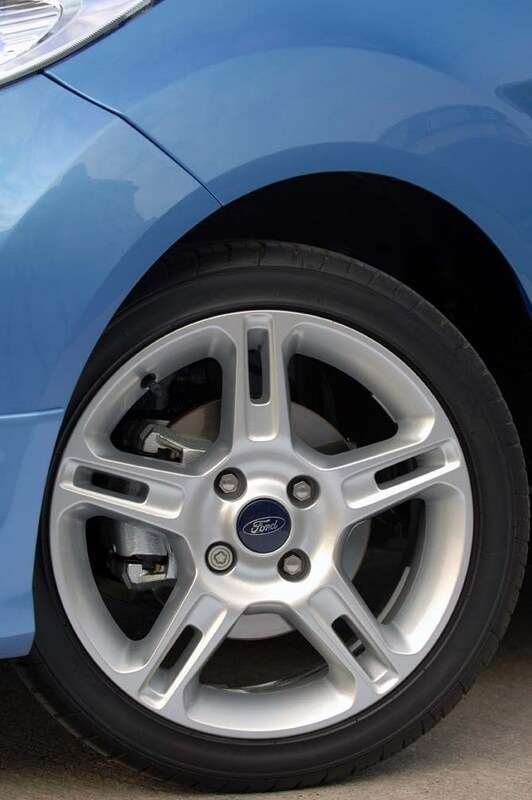 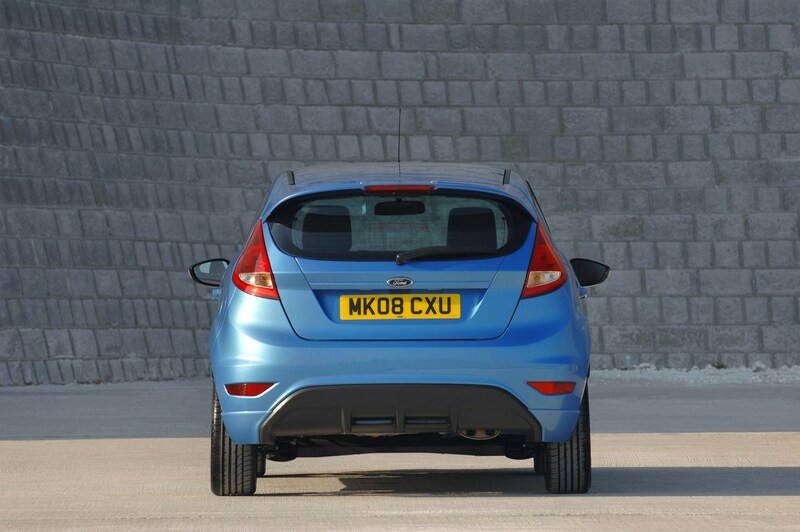 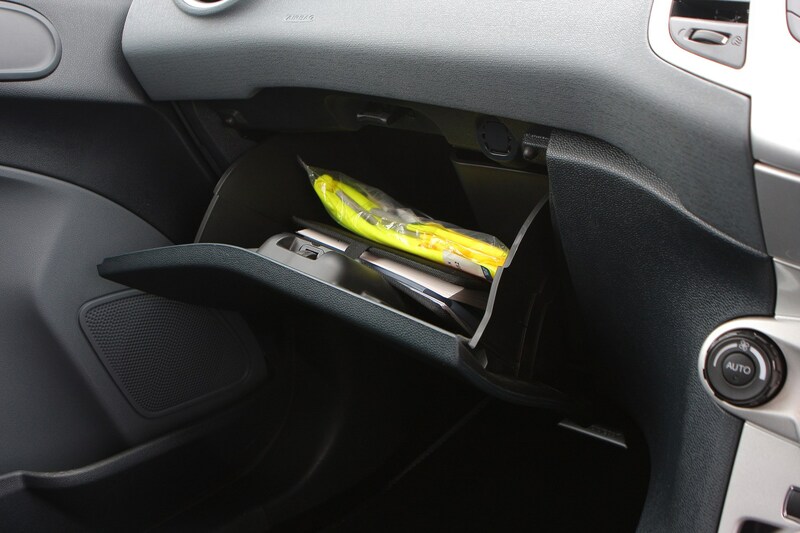 October 2010 – A reversing camera bundle is optional on all Fiestas from Edge through to Titanium trims. 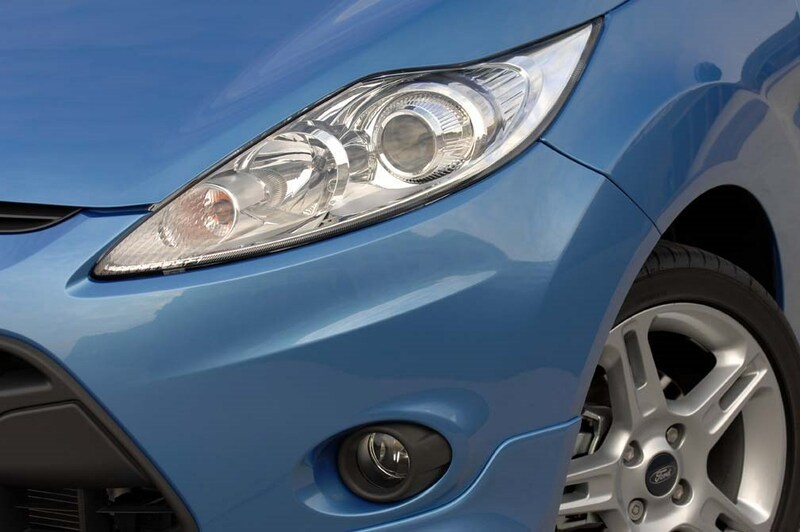 The package also includes automatic lights and wipers, as well as rear parking sensors. 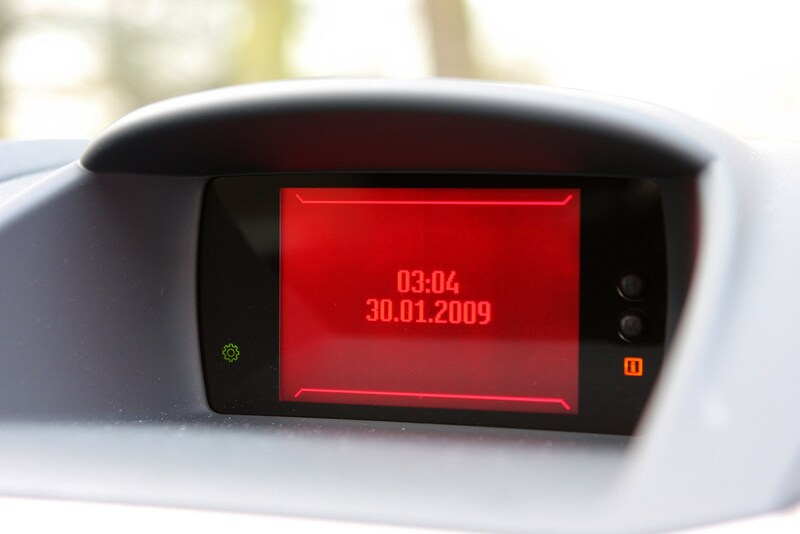 February 2011 – Limited edition S1600 reintroduced but this time with a 134hp version of the 1.6-litre Ti-VCT engine, reducing the 0-60mph time down to 8.2 seconds. 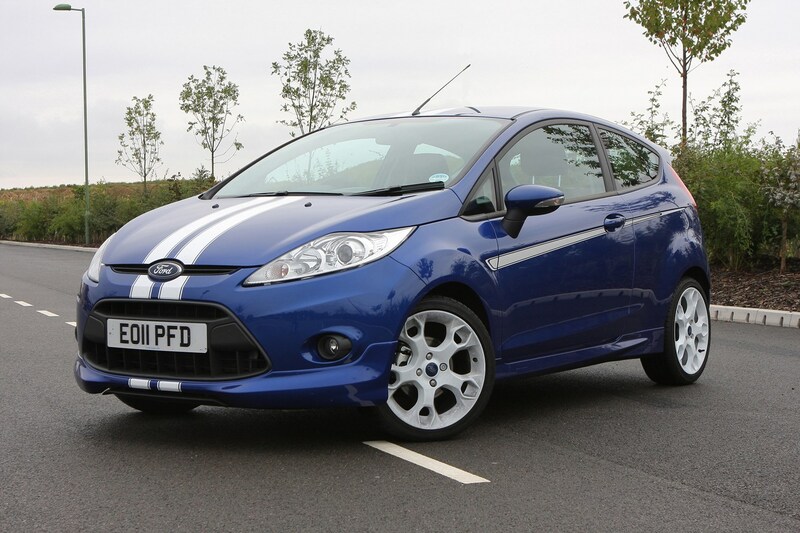 A full bodykit, 17-inch alloy wheels finished in white and a choice of Performance Blue or Frozen White paint with contrasting stripes complete the picture. 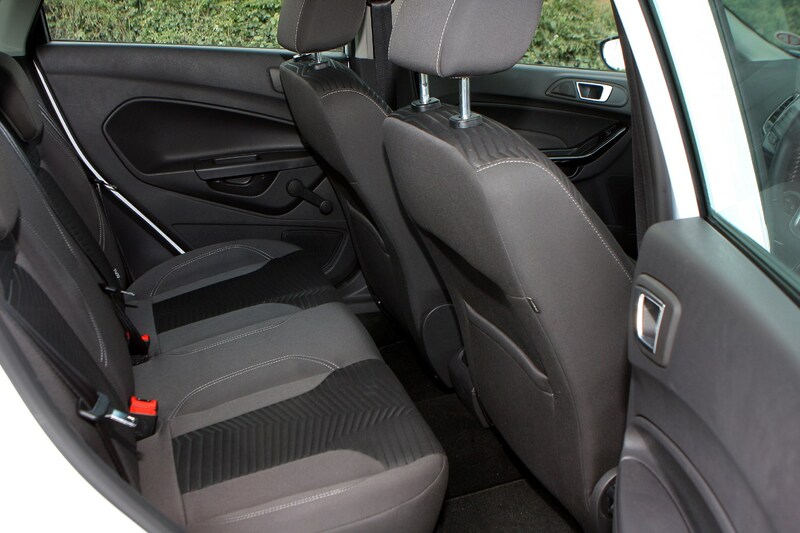 July 2011 – Prices of the entry-level Studio trim reduced by £500, with a reintroduced Style specification introduced to sit just above it. 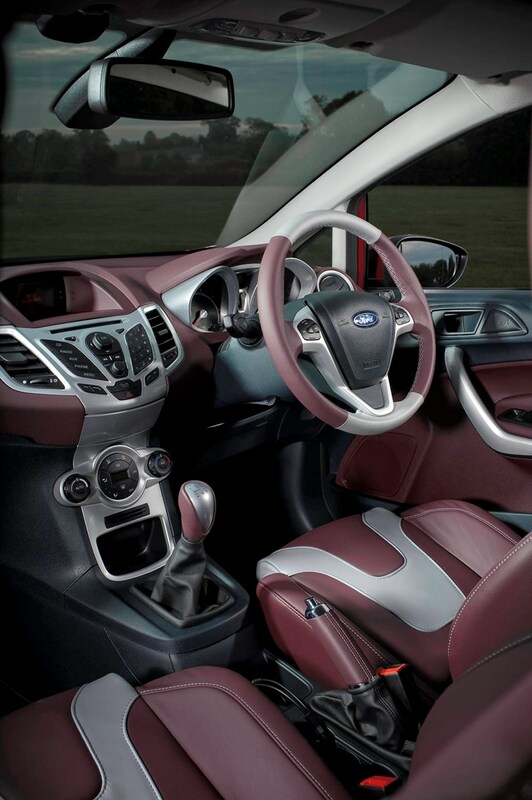 Features for the style include body-coloured exterior trims, 15-inch steel wheels with full-width trims, electric front windows and remote central locking. 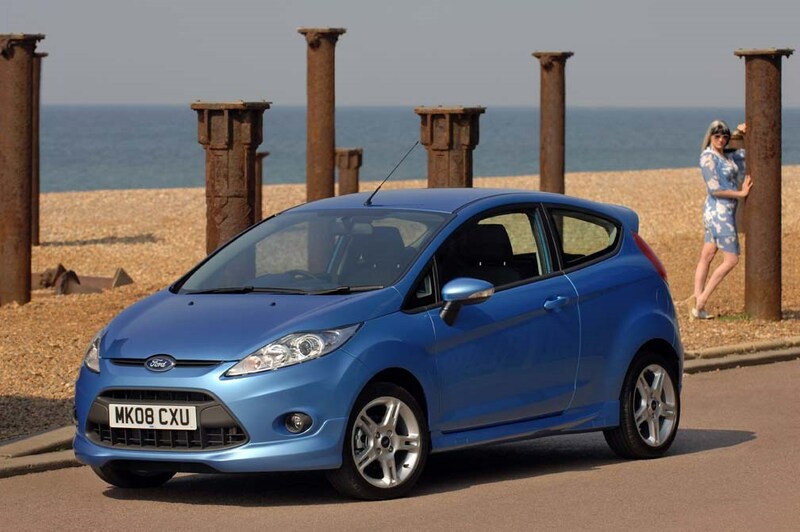 August 2011 – Marking a century of Ford in Britain is the three- and five-door Fiesta Centura limited edition. 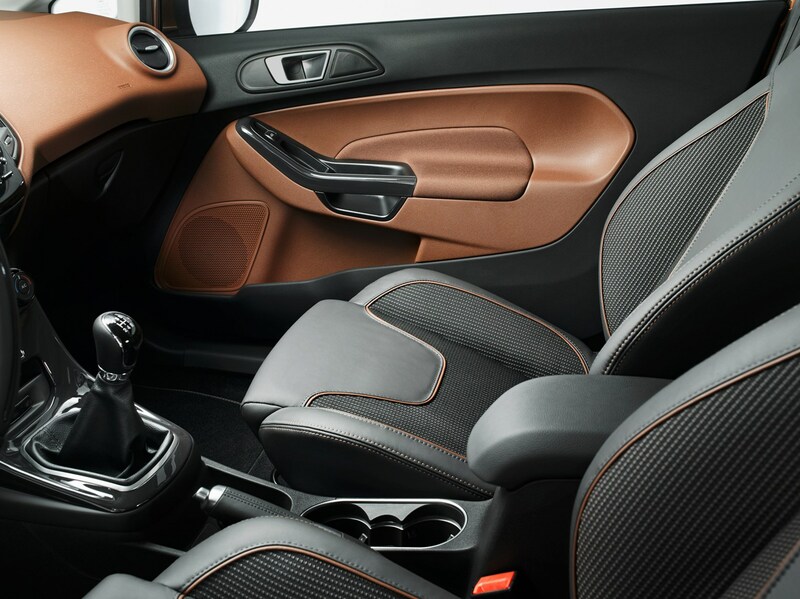 Exclusively available with the 82hp 1.25-litre engine, all Centuras are finished in Panther black, with chrome exterior detailing, 16-inch alloy wheels, automatic lights and wipers and a reversing camera. 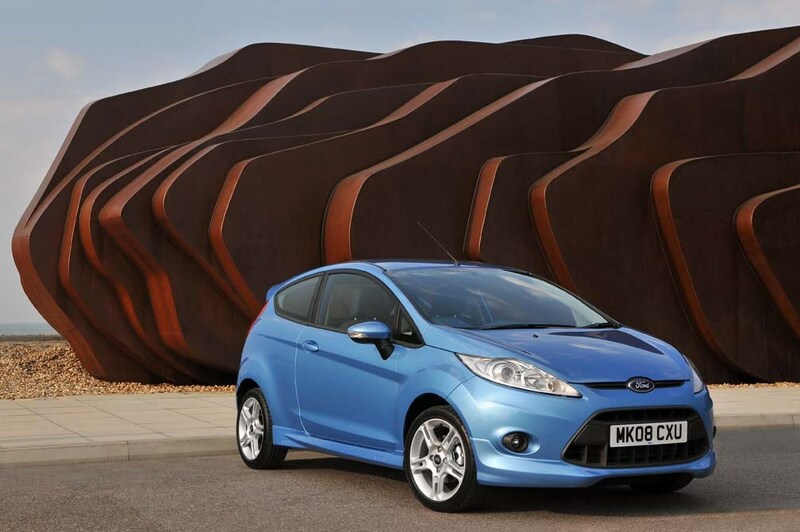 September 2011 – Limited Edition Fiesta Metal launched, powered by a 134hp of the 1.6-litre Ti-VCT petrol engine. 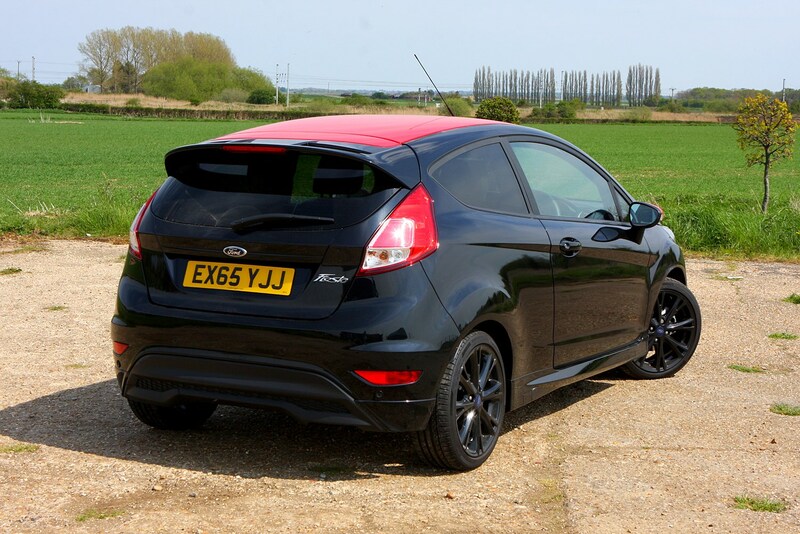 Features include black 17-inch alloy wheels, chrome twin exhausts and a full black leather interior. 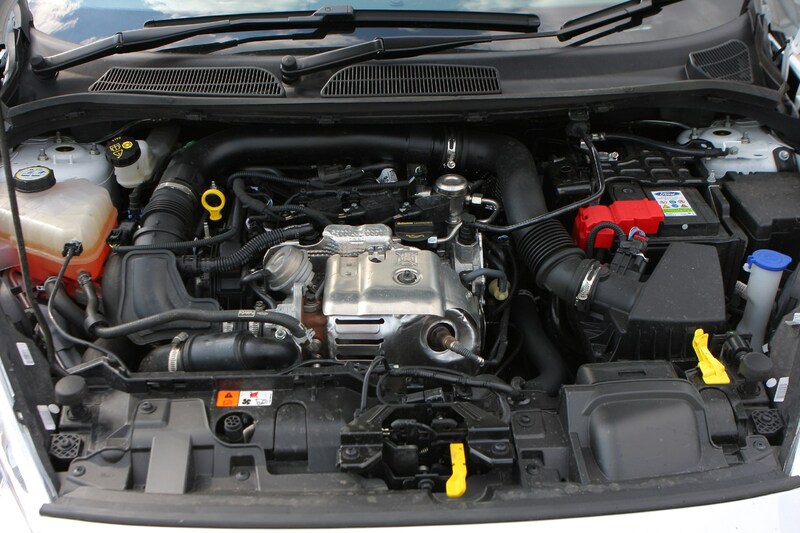 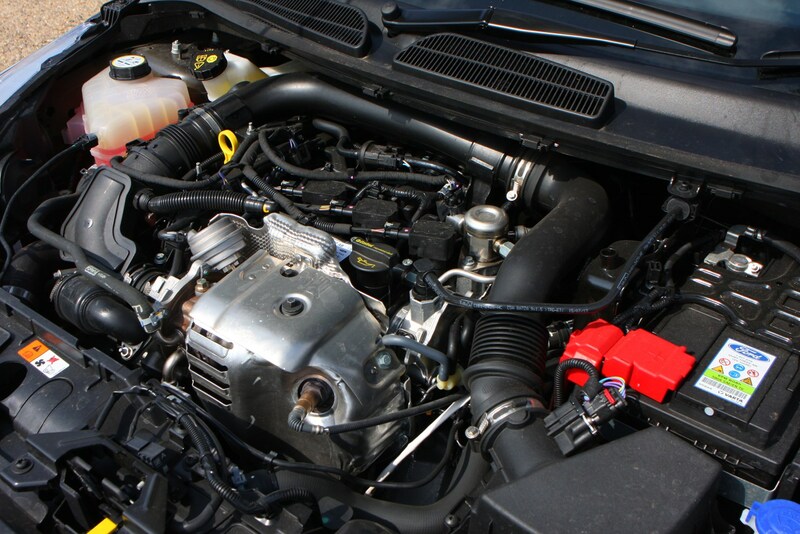 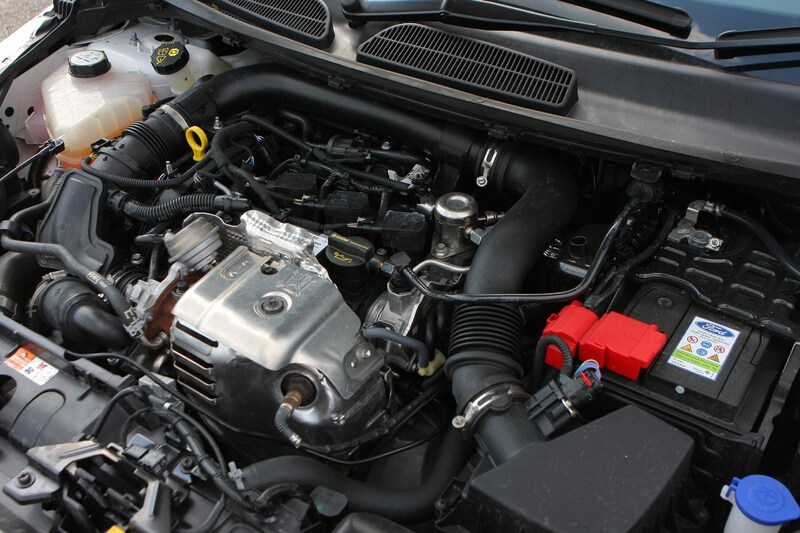 Modifications to the Econetic diesel-engined models see the CO2 emissions fall to 95g/km and the range expanded to Zetec and Titanium trim levels, with the previous standalone Econetic trim now part of the Edge specification. 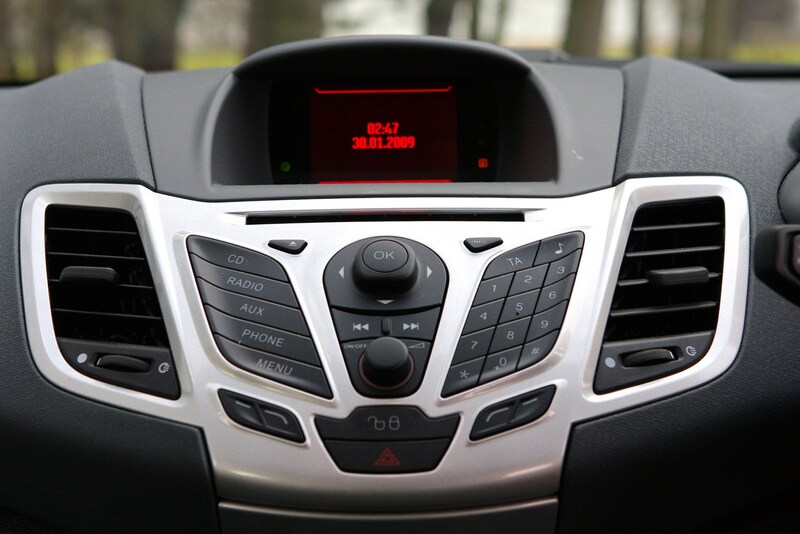 New colours, DAB radio and keyless entry all become optionally available or standard, depending on the grade. 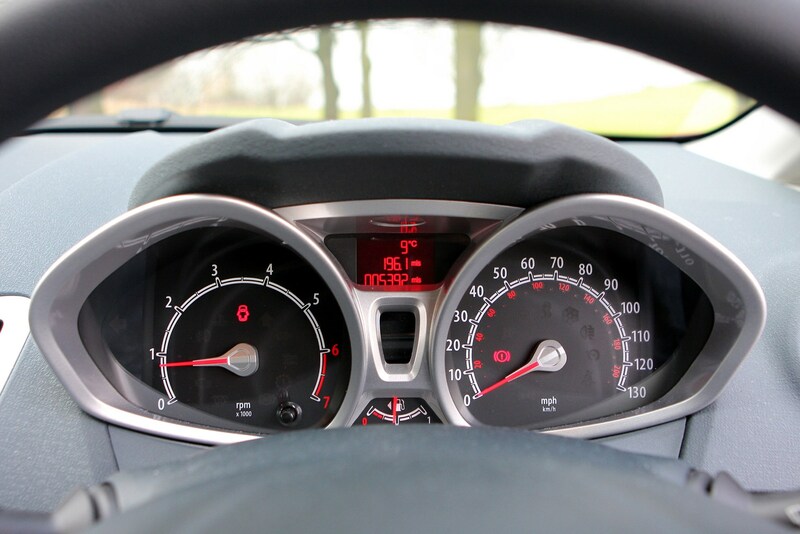 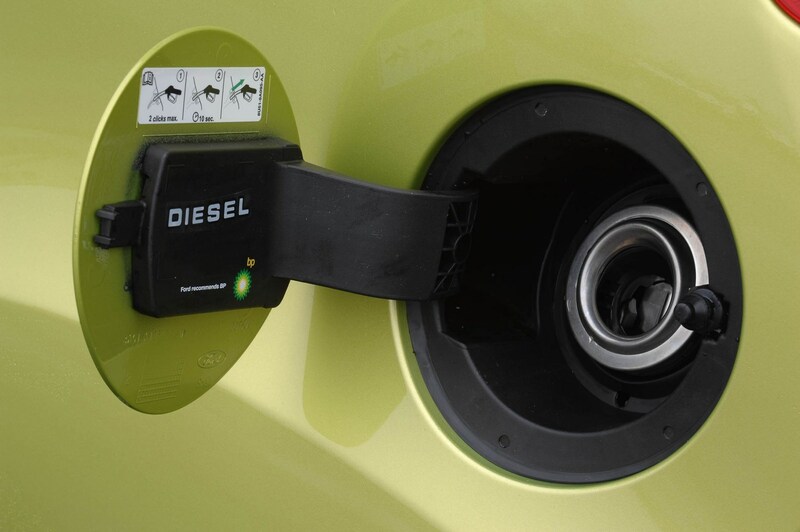 March 2012 – Further improvements to the Econetic fuel-saving technology on 1.6-litre TDCi models sees fuel efficiency improve to a claimed average of 85.6mpg and CO2 emissions drop to 87g/km. 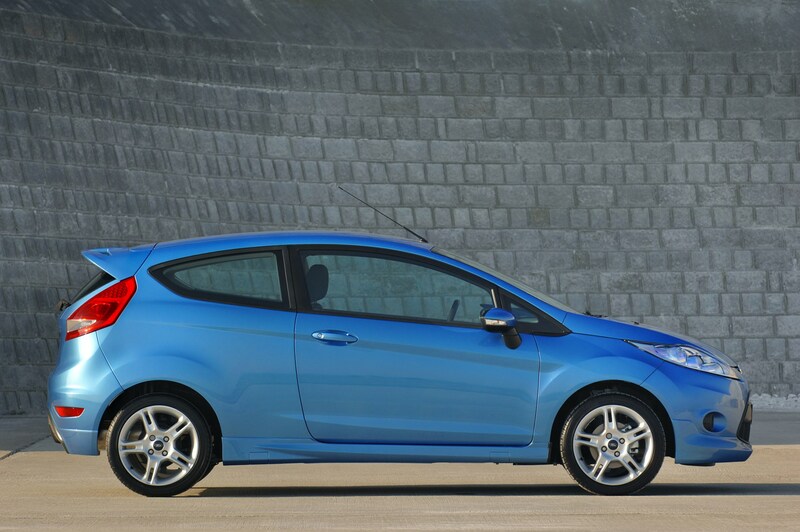 November 2012 – Facelifted range available to order, with all Fiestas featuring a new bumper with an enlarged grille, tweaked headlights, a reprofiled bonnet, minor changes to the tail lights and a lightly refreshed interior. 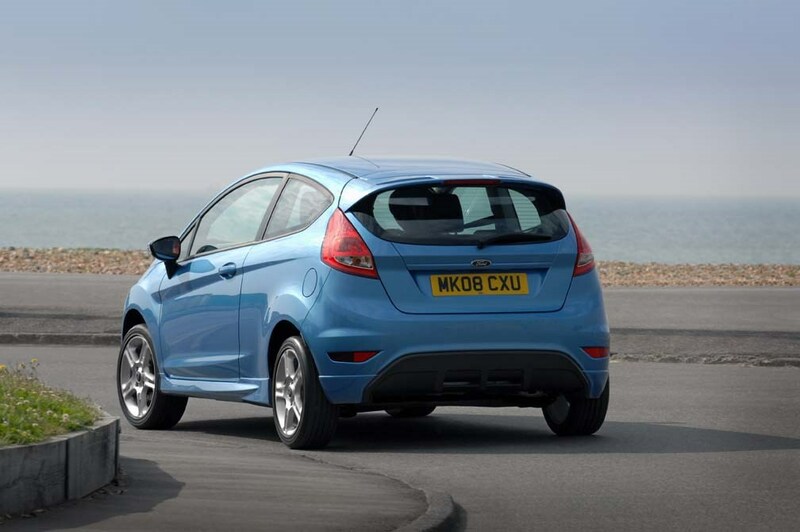 Revisions to the grade structure sees a line-up of Studio, Style, Zetec, Zetec S, Titanium and Titanium X, and a range of petrol (1.0-litre EcoBoost 100hp and 125hp, 1.25-litre 60hp and 82hp, and 1.6-litre 105hp) and diesel (1.5 TDCi 75hp and 1.6 TDCi 95hp, with and without Econetic fuel-saving features) engines. 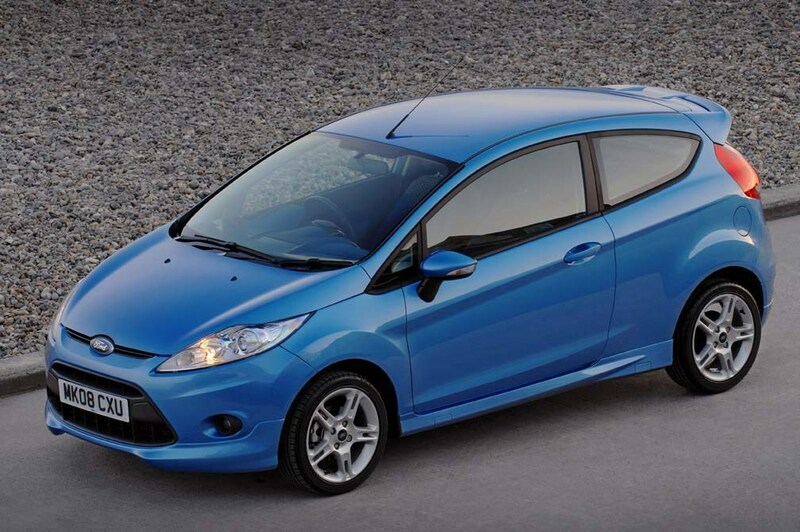 First deliveries begin in January 2013. 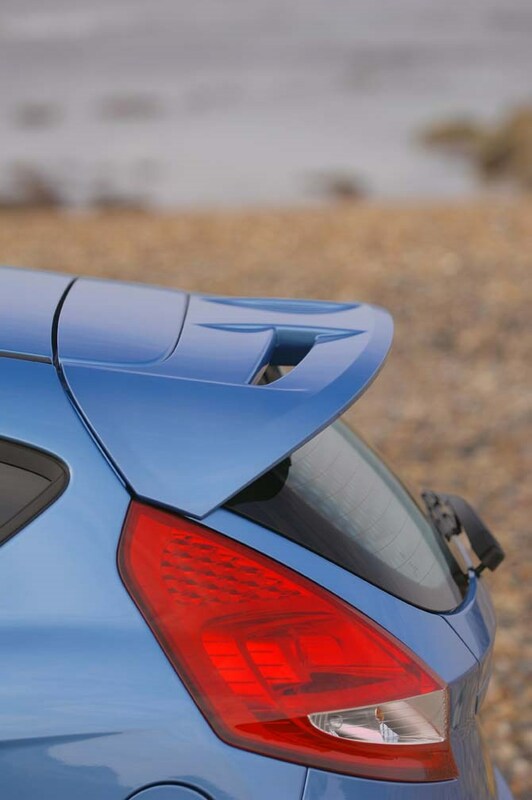 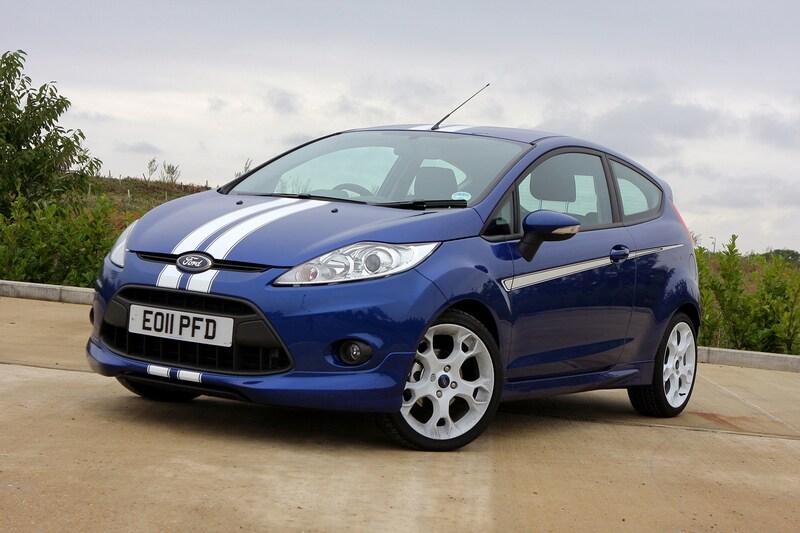 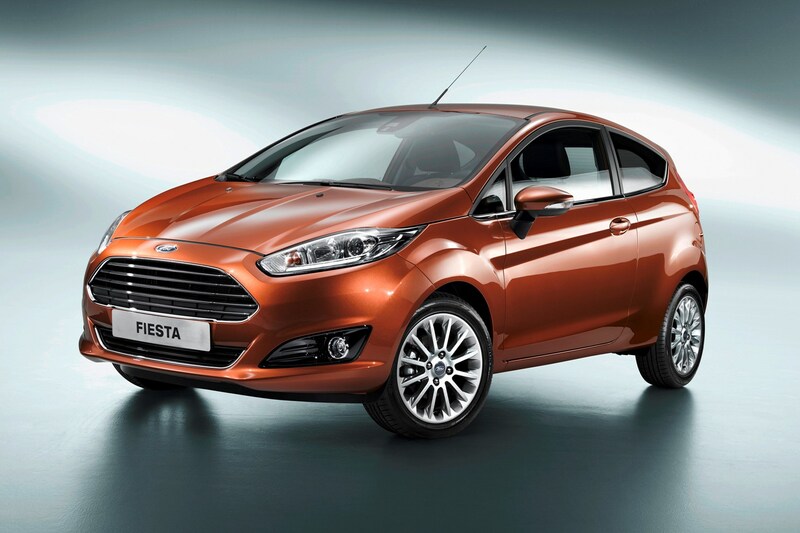 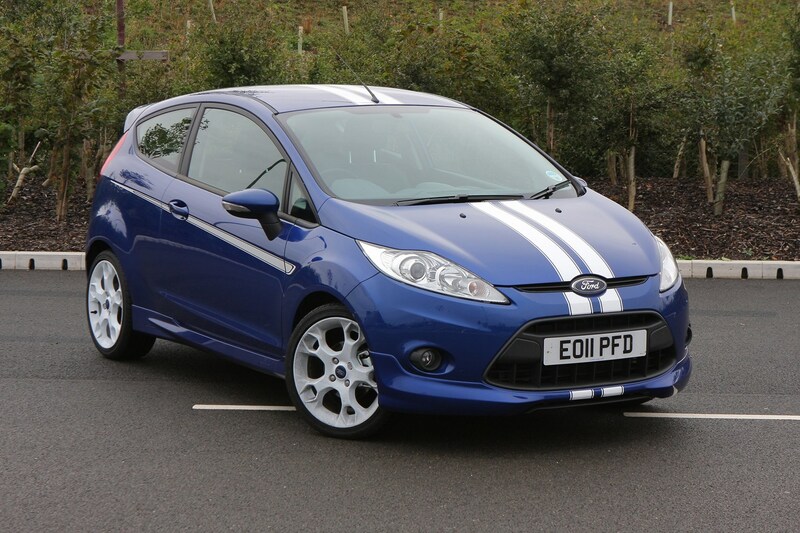 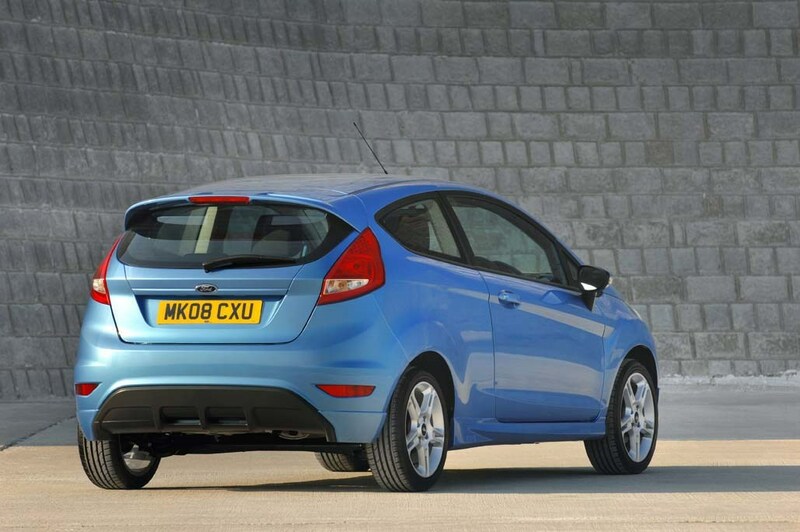 January 2013 – Sporty additions to the range launched in the forms of the Fiesta ST-1 and ST-2. 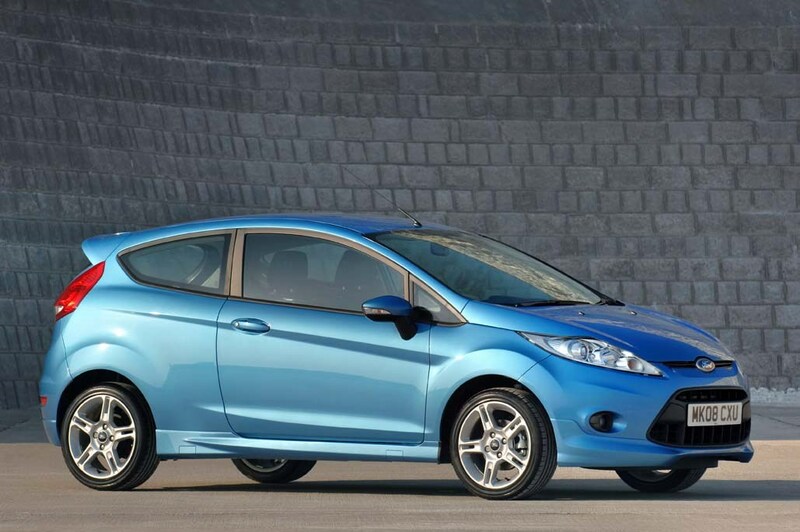 Both are powered by a 1.6-litre turbo EcoBoost engine developing 182hp, exclusively with the three-door bodyshell. 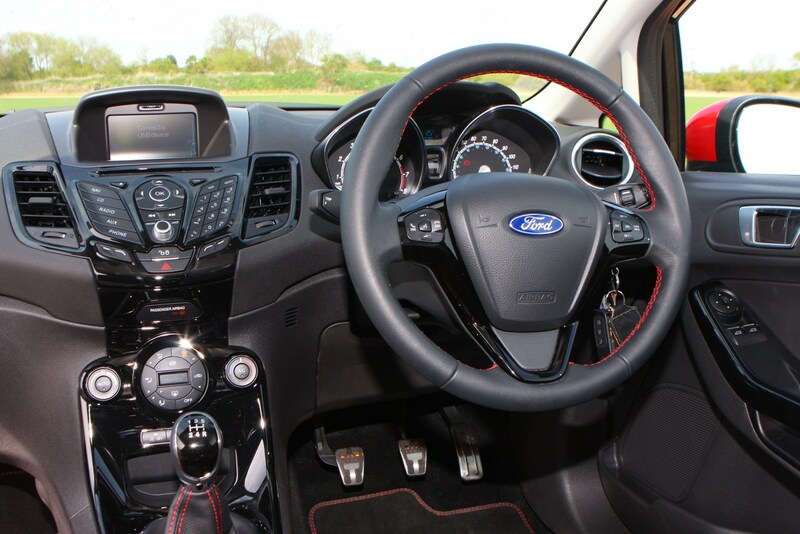 ST-1 includes 17-inch alloy wheels, projector headlamps, Recaro seats and air-con, while ST-2 adds LED day-running lights, rear privacy glass and part-leather upholstery. 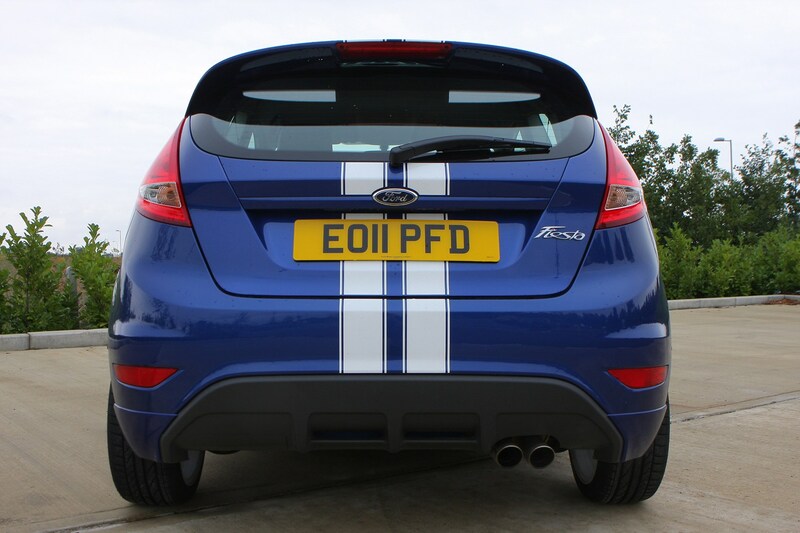 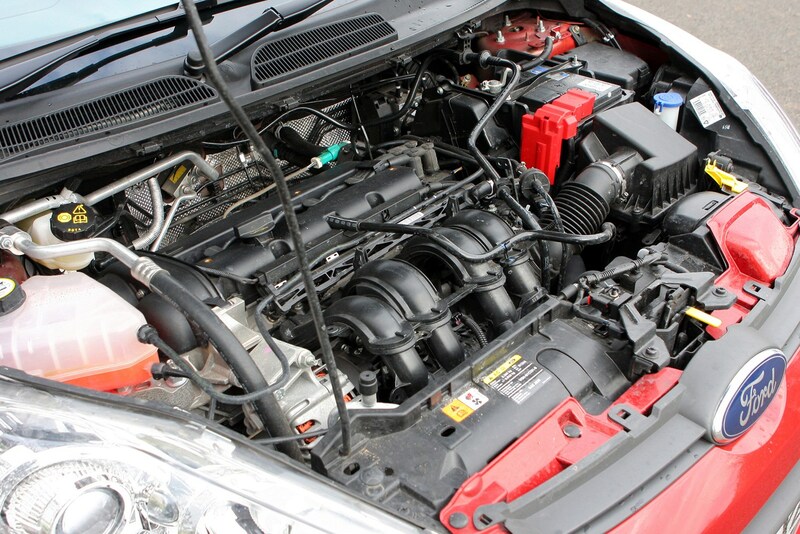 A Mountune performance pack is available from dealers boosting power to 197hp. 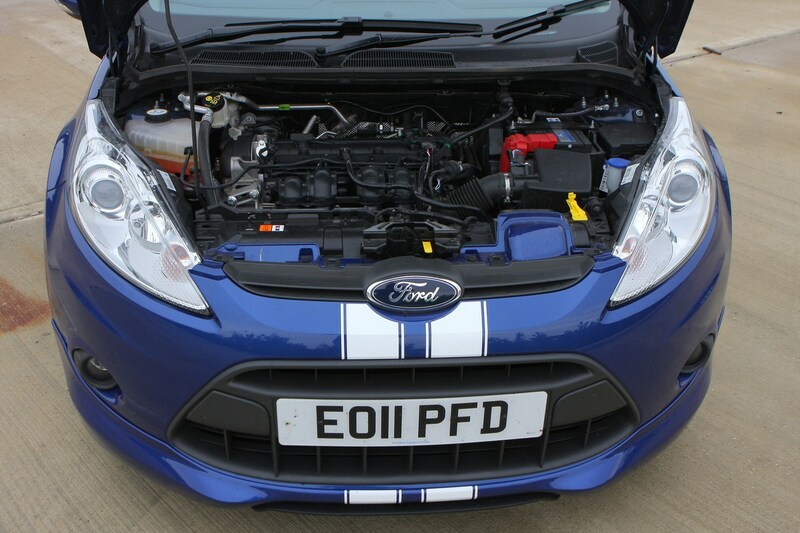 March 2014 – Additional powertrain options added to the range: a non-turbocharged version of the 1.0-litre engine is launched delivering 80hp, with CO2 emissions of 99g/km, while the existing 1.0-litre EcoBoost with 100hp is optionally available with a six-speed PowerShift twin-clutch automatic gearbox. 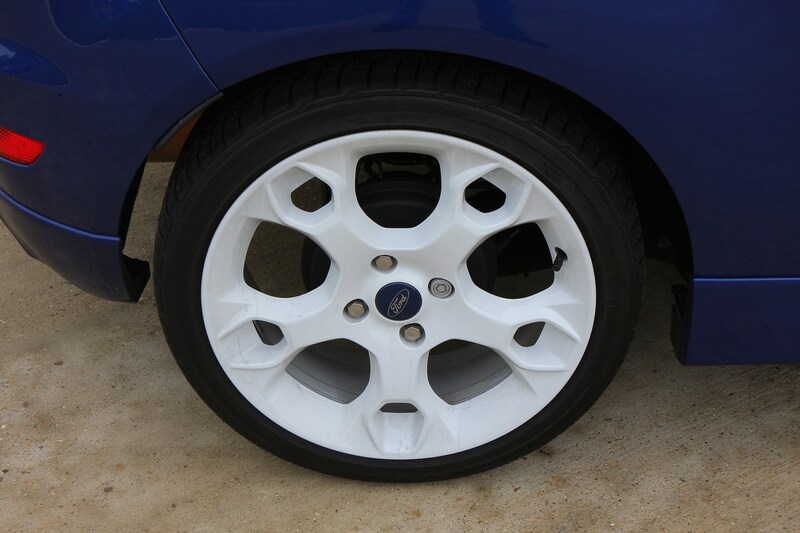 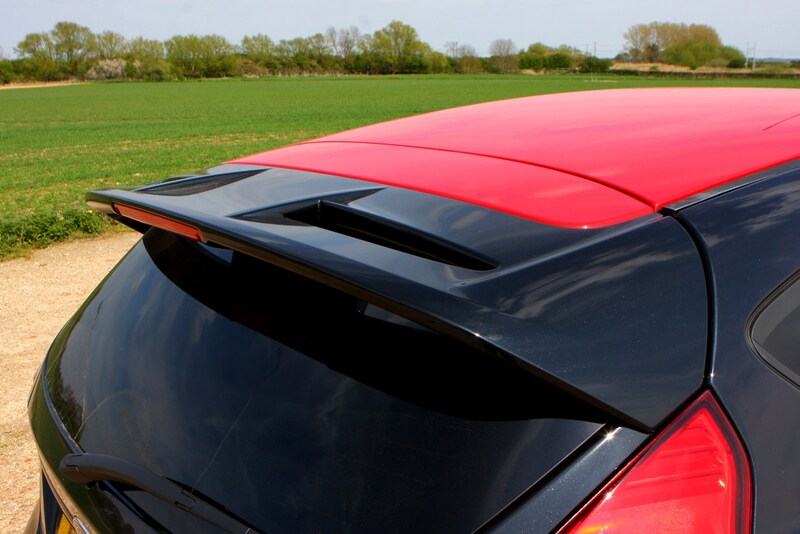 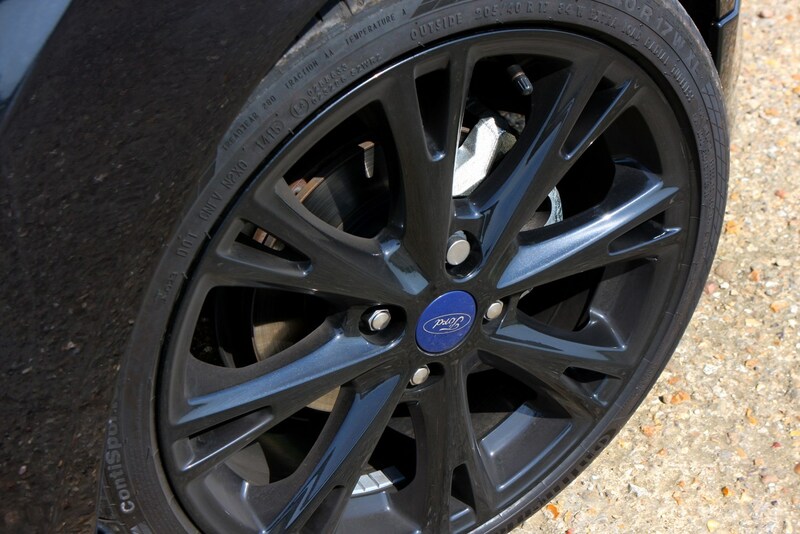 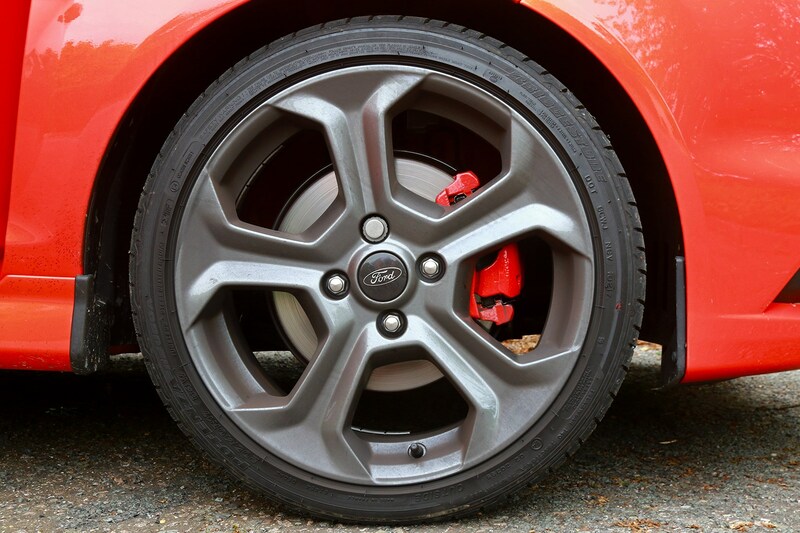 April 2014 – High-performance ST range expanded with the introduction of a range-topping ST-3 version. 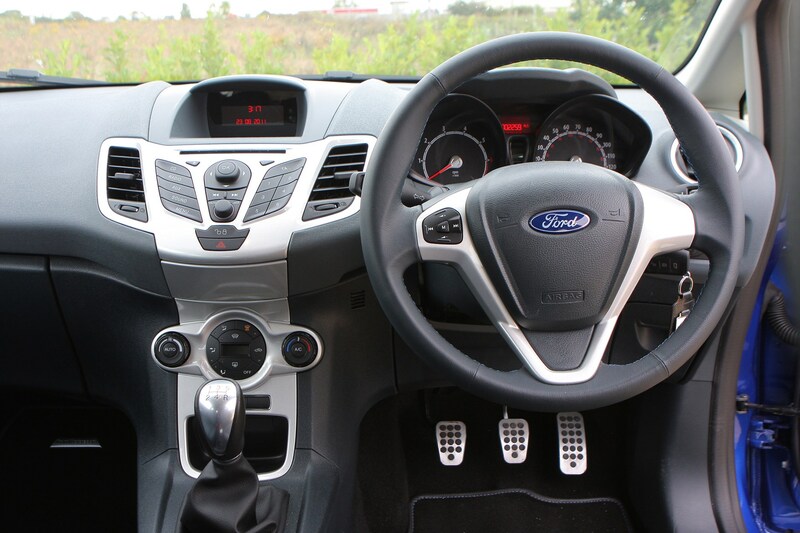 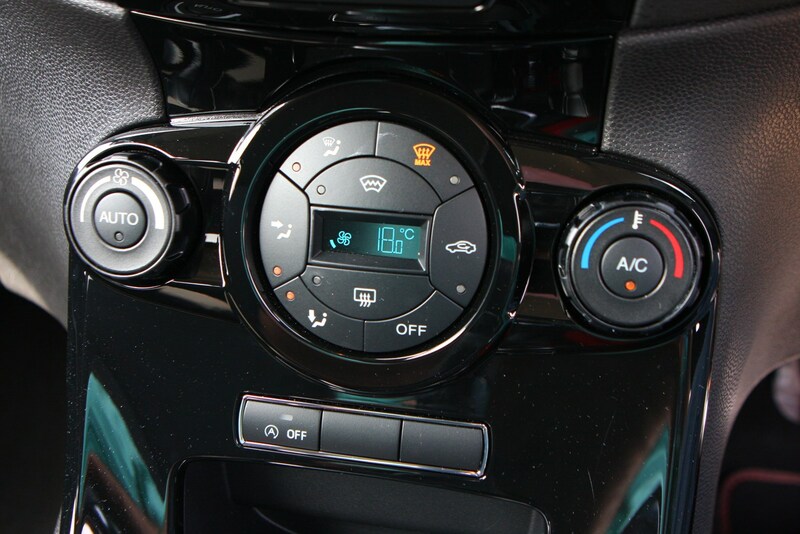 Additional equipment over the ST-2 includes keyless entry, Sony DAB radio, cruise control, automatic lights and wipers, and climate control. 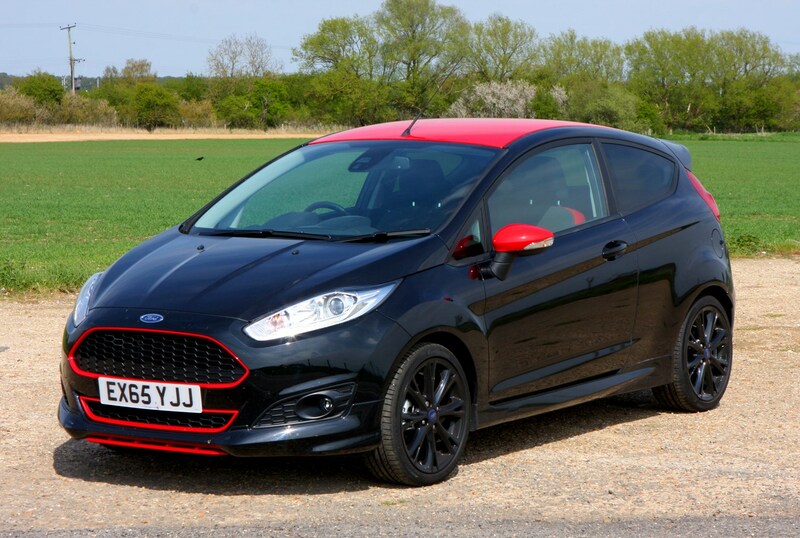 June 2014 – Sporty Zetec S Black Edition and Red Edition models launched, powered by a 140hp version of the 1.0-litre EcoBoost. 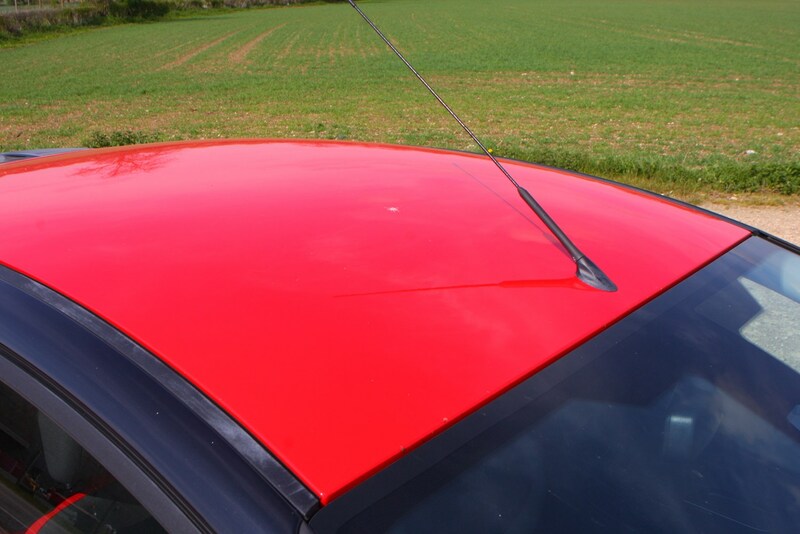 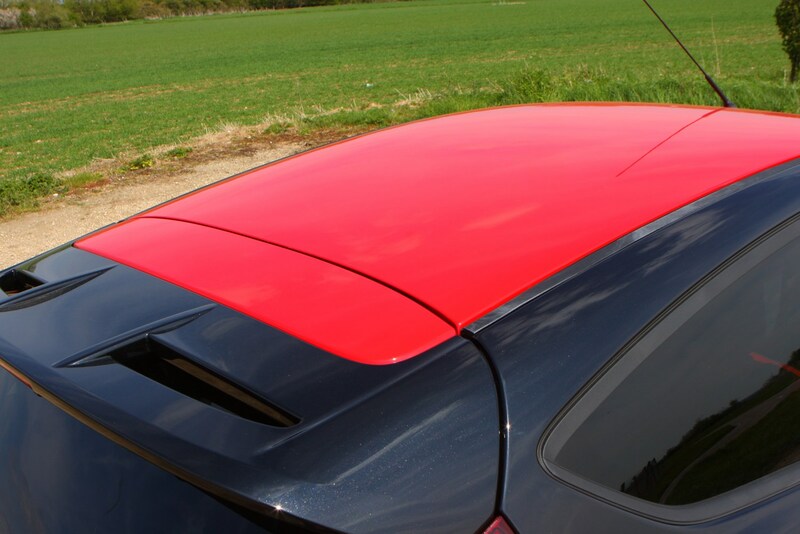 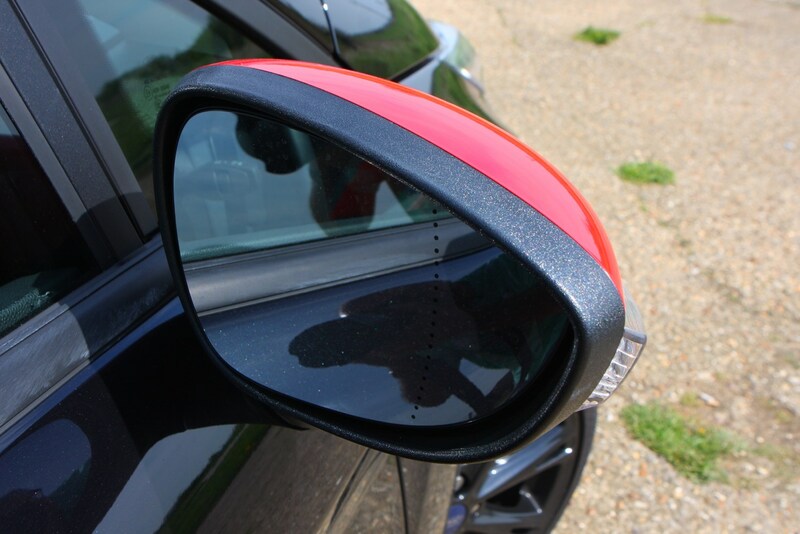 Black Editions have a contrasting red roof, door mirrors and grille outlines, vice versa on the Red Editions. 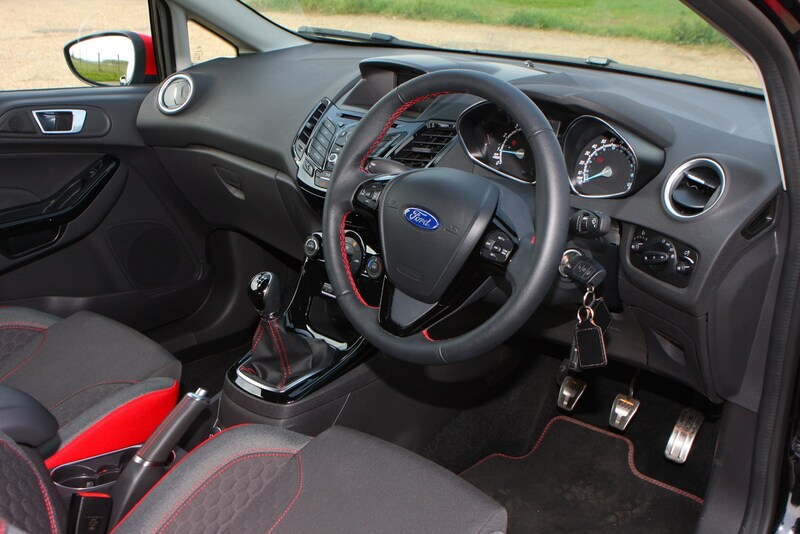 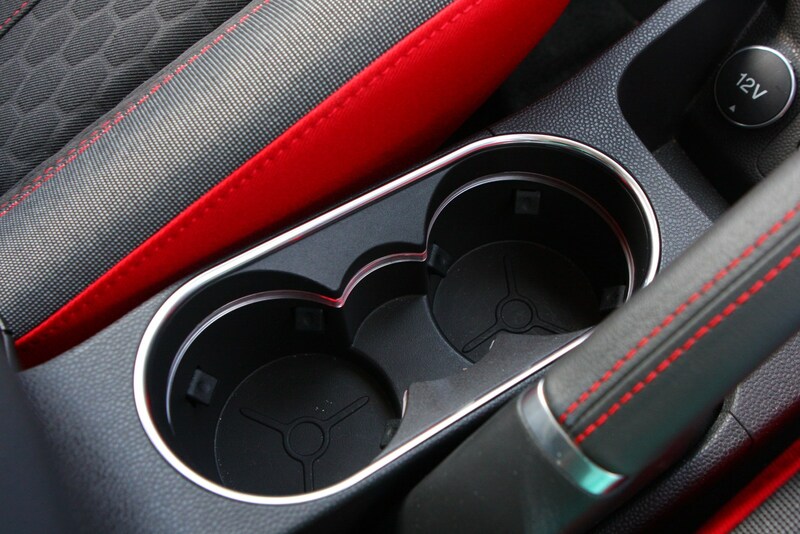 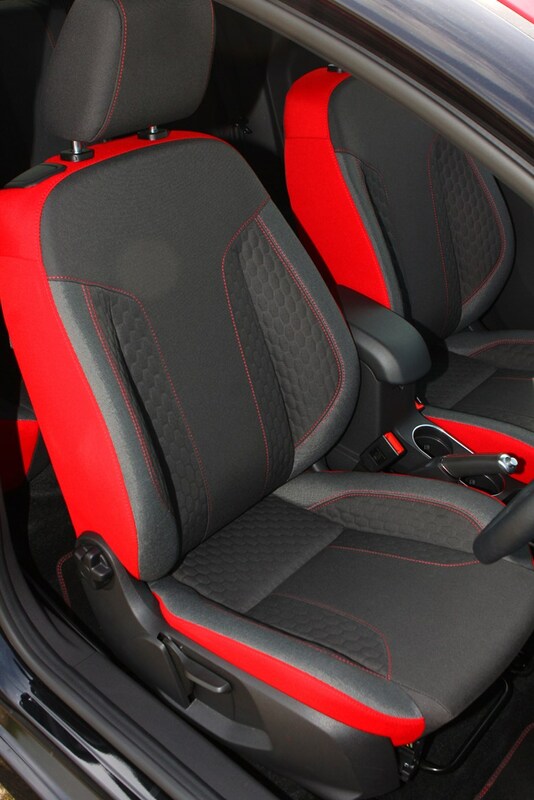 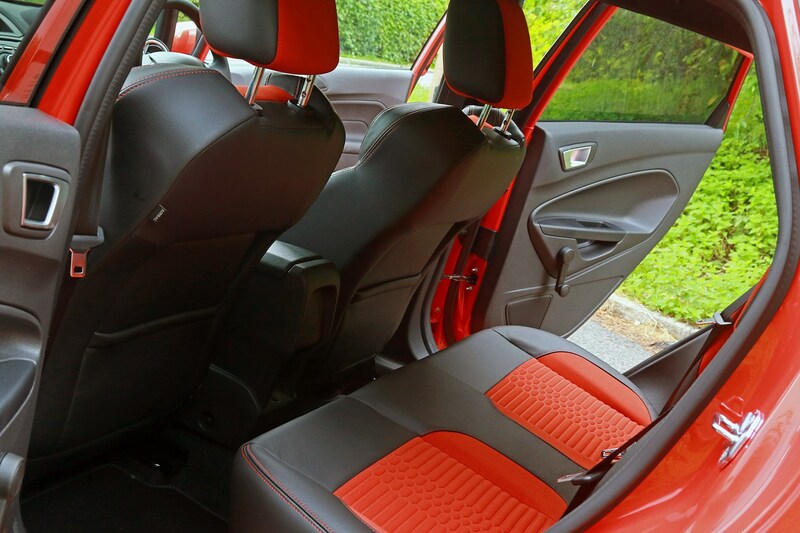 Other notable equipment includes sports suspension, revised gear ratios and red contrast stitching for the interior. 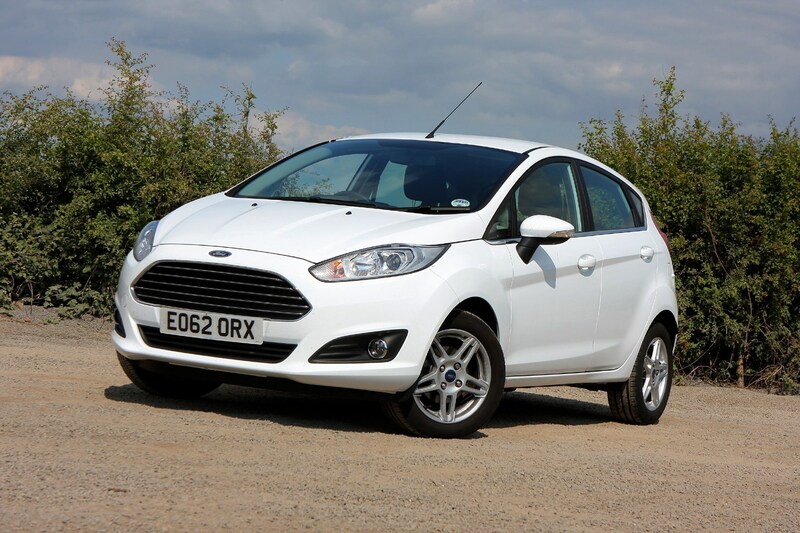 December 2015 – Special Zetec Black Edition and Zetec White Edition trim levels introduced, finished in Panther Black or Frozen White with opposing roof and door mirror colours. 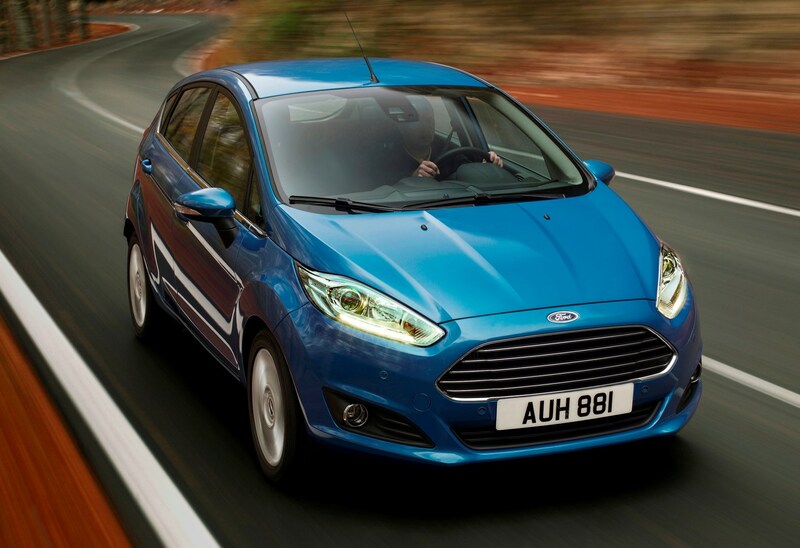 Three- and five-door models available with either a 1.25-litre 82hp or 1.0-litre EcoBoost with 100hp. 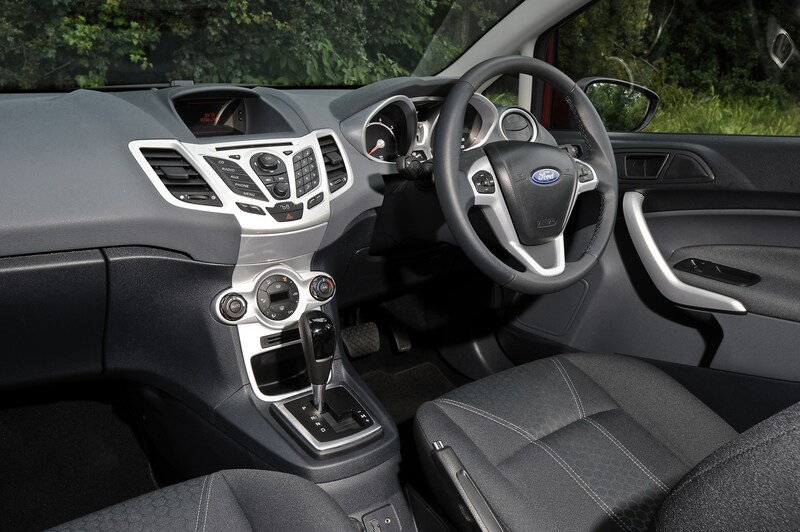 Specific features include black and white 15-inch alloy wheels, rear privacy glass and electrically folding door mirrors. 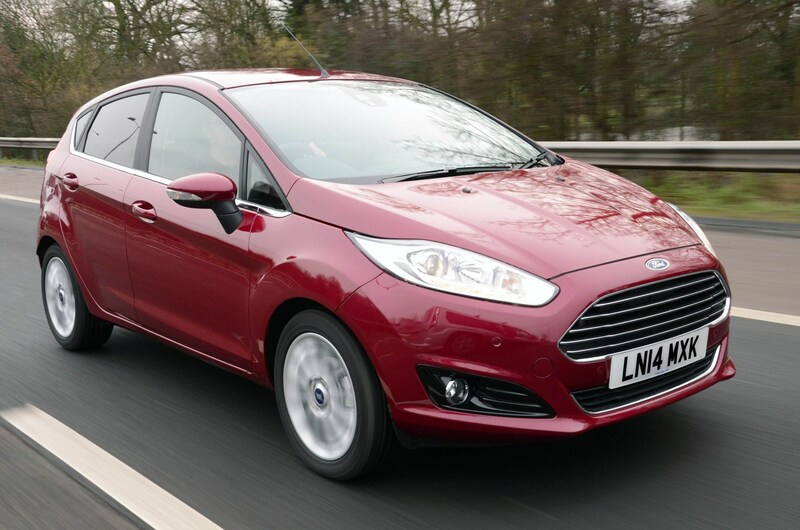 June 2016 – Three- and five-door ST-Line trim is a direct replacement for the previous Zetec S specification, continuing with the same engines. 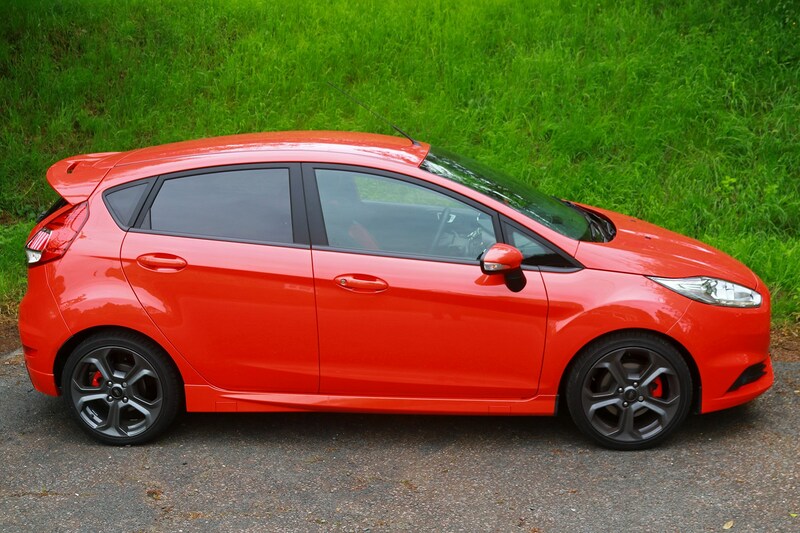 Only available with the 140hp 1.0-litre EcoBoost are the ST-Line Black Edition and Red Edition. 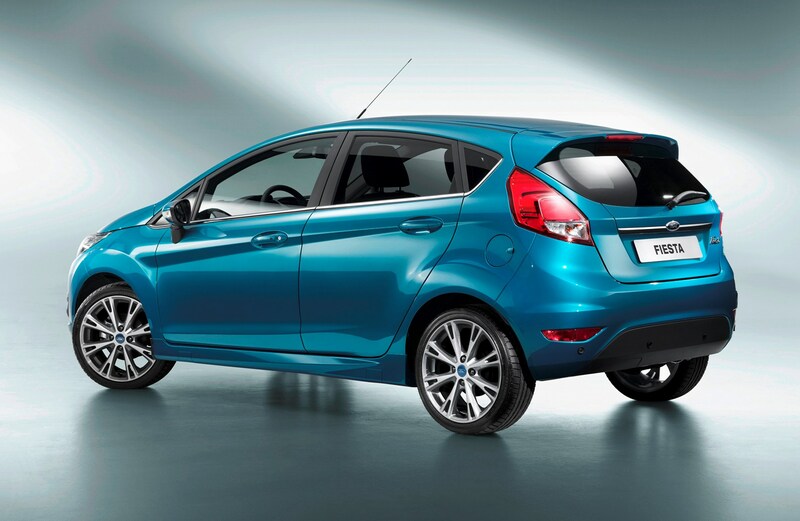 Range-topping ST200 also launched in three-door form, powered by a 200hp edition of the 1.6 EcoBoost engine. 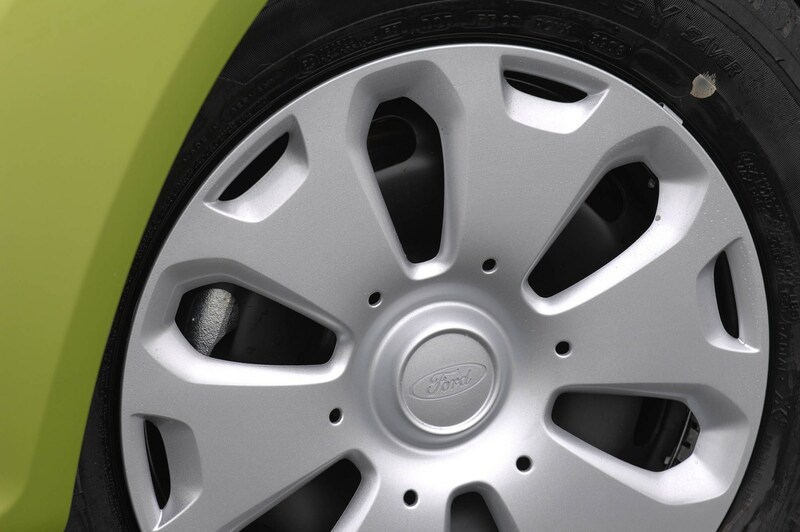 Requires 6.7 seconds for the 0-62mph, while it’s exclusively available in Storm Grey. 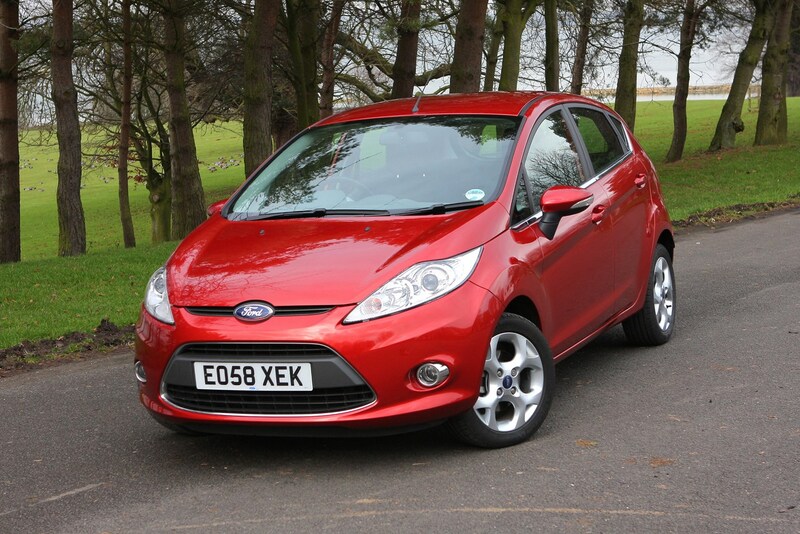 Studio and Style derivatives are discontinued, their place in the line-up taken by the Ford Ka+. 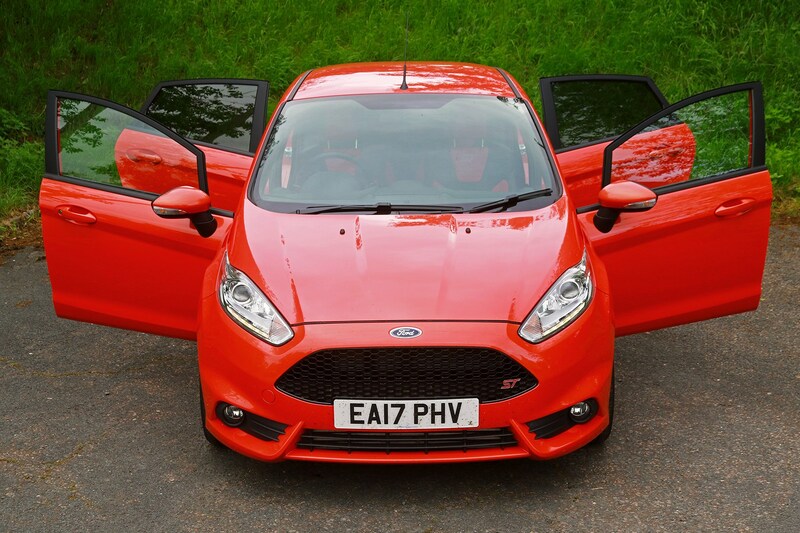 October 2016 – High-performance Fiesta ST-2 and ST-3 are now available to order in five-door guise. 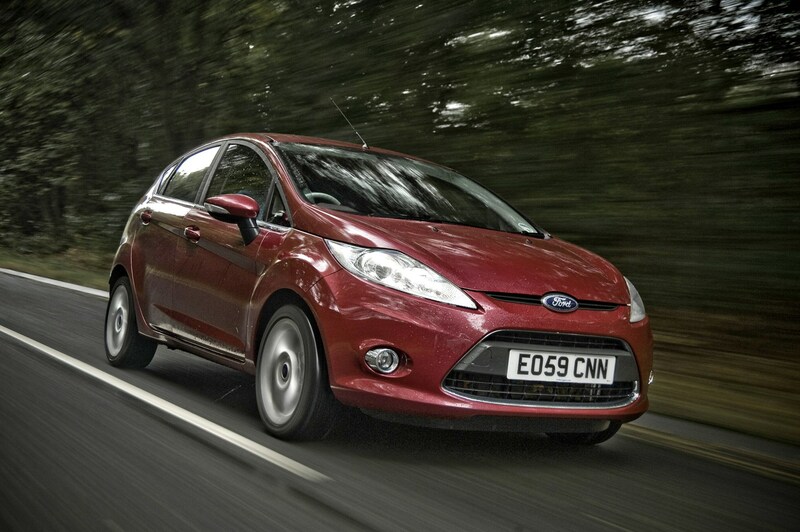 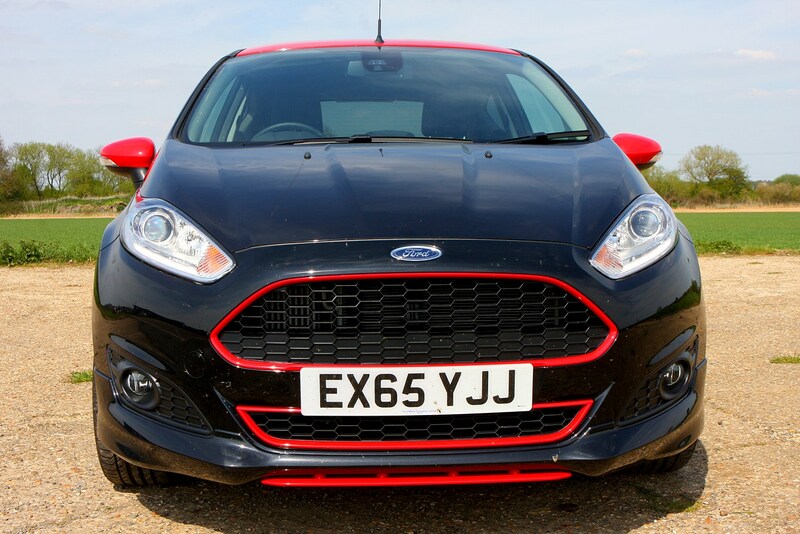 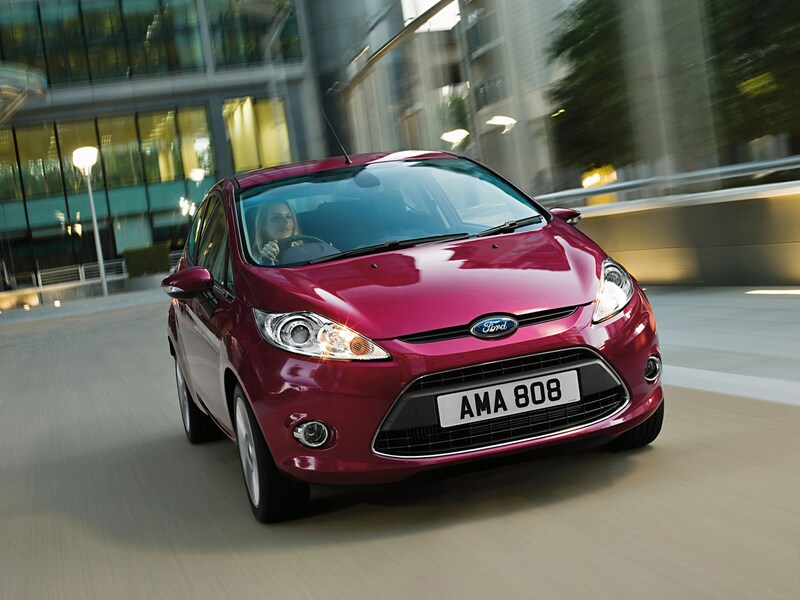 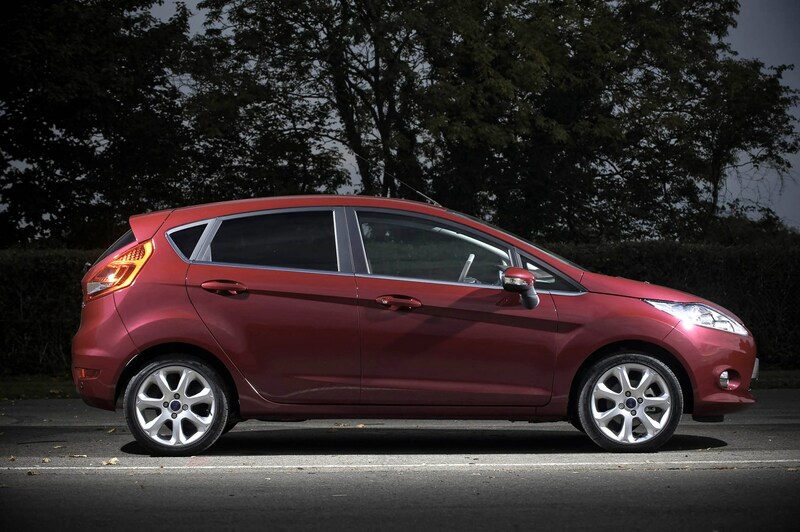 Read the full Ford Fiesta hatchback review to find out why we rate this supermini so highly.